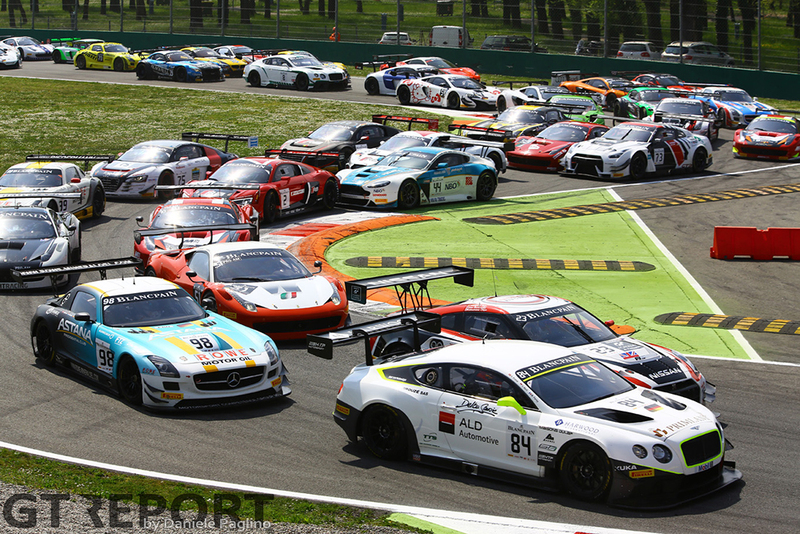 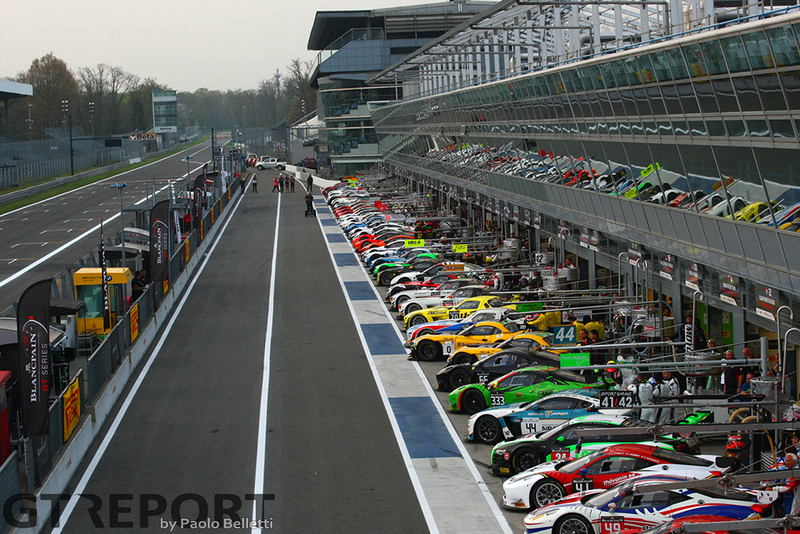 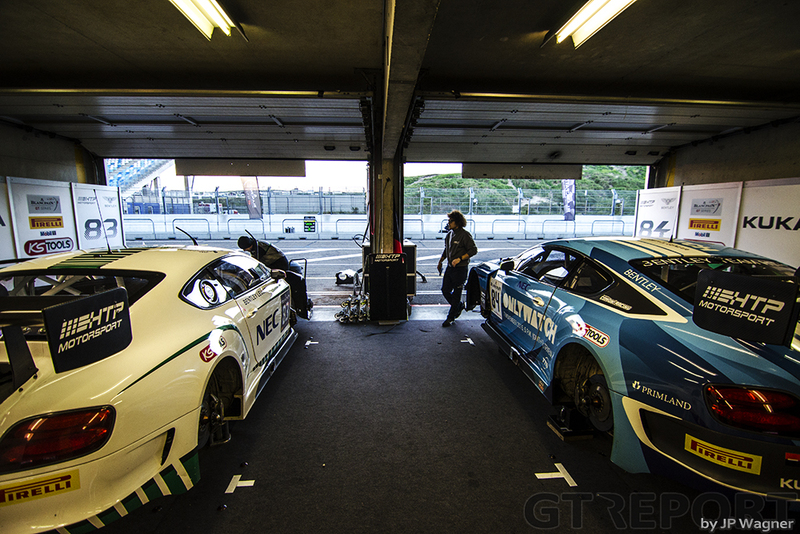 Every year the Blancpain GT Series grows stronger. 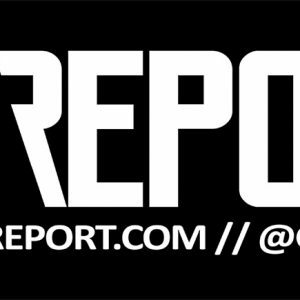 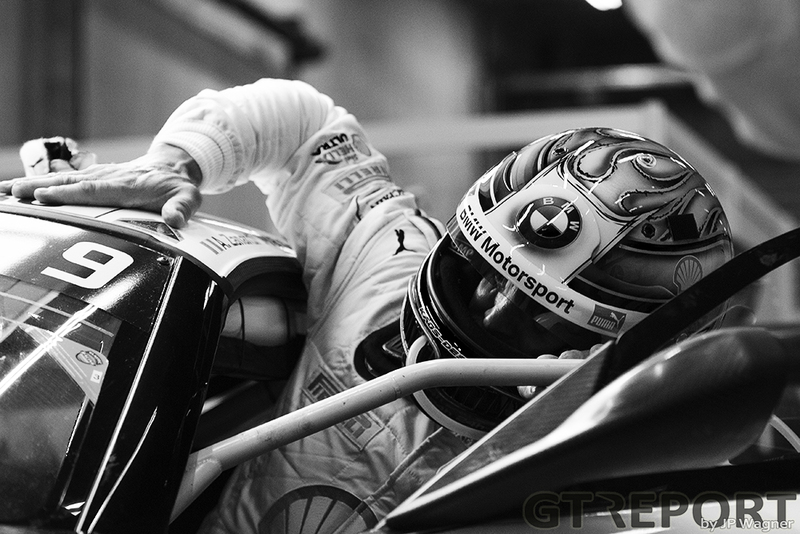 2015 was no exception: several new cars where introduced while top tier teams and drivers kept pouring in. 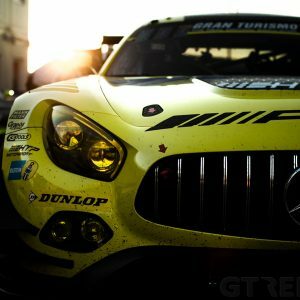 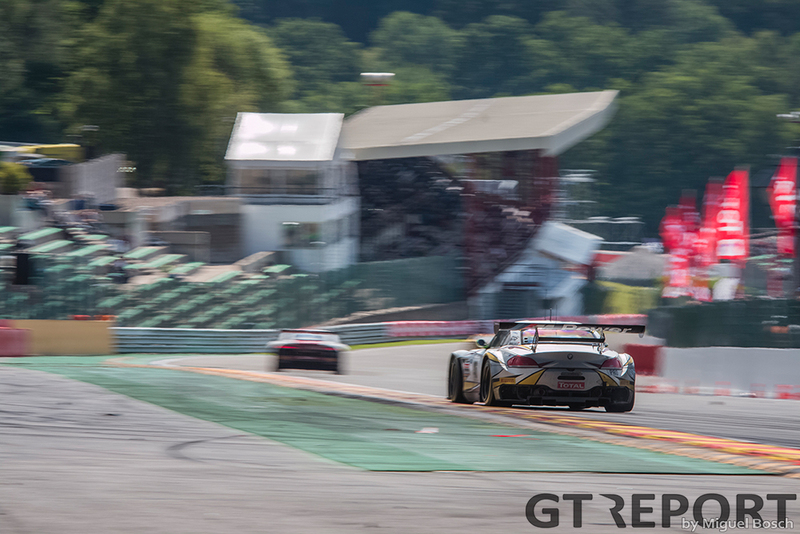 The competition was so strong that not one team took multiple titles in the outright Blancpain GT Series, Sprint Series or Endurance Series, and all championship fights went down to the wire. 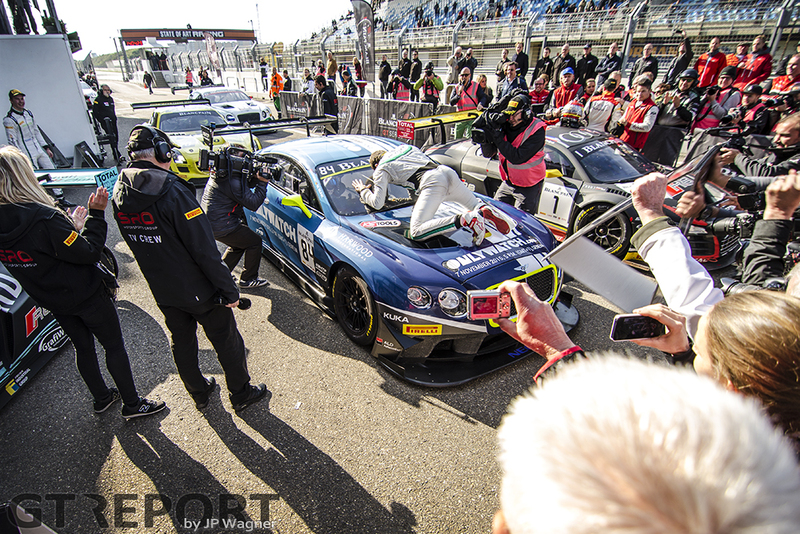 In the end the spoils were divided by Nissan, Bentley and Audi. 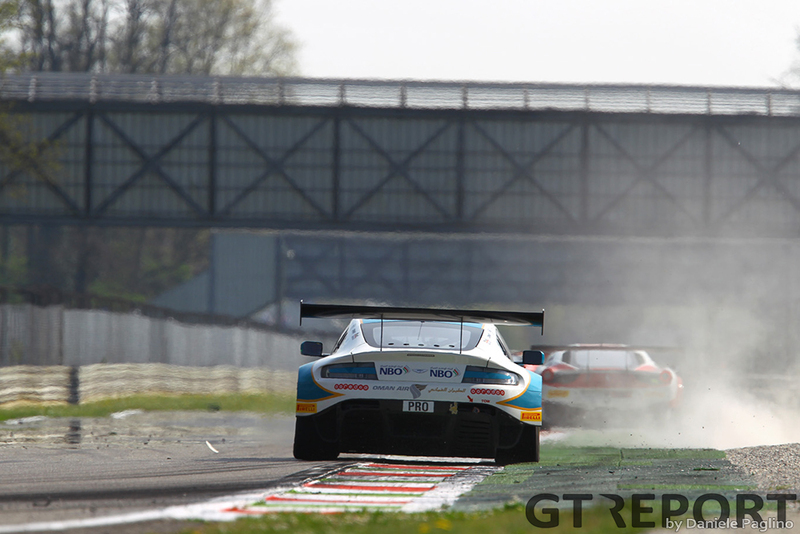 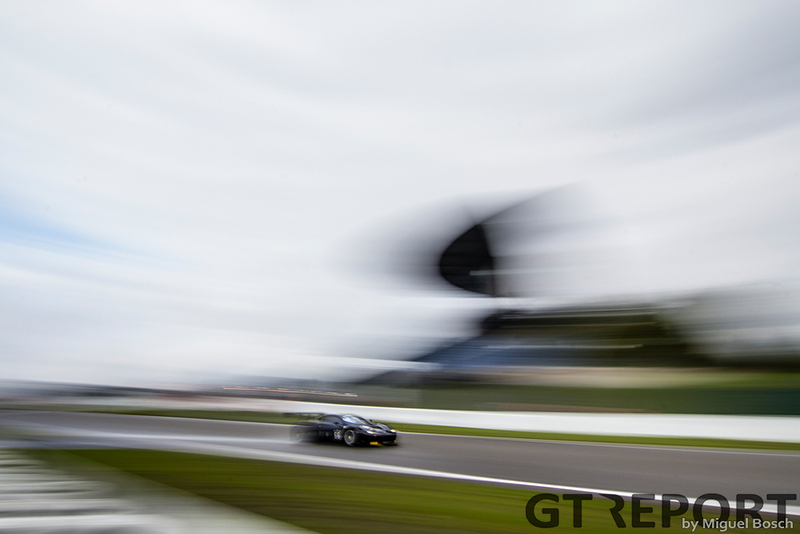 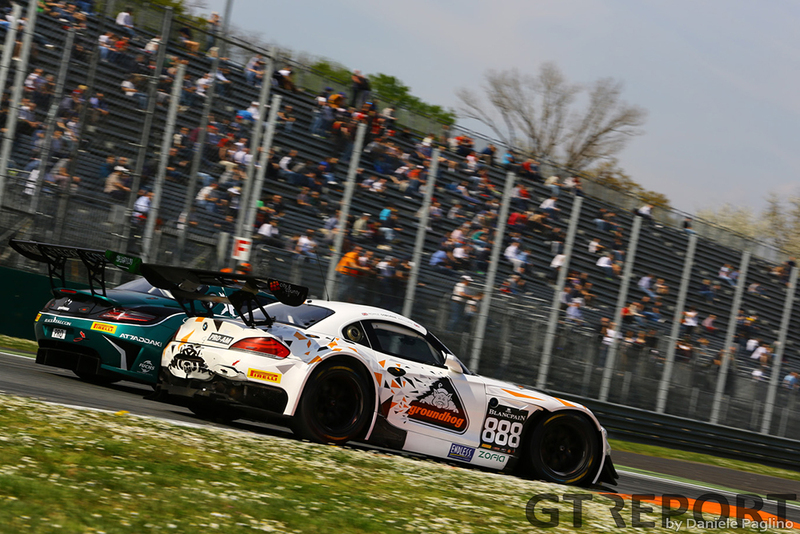 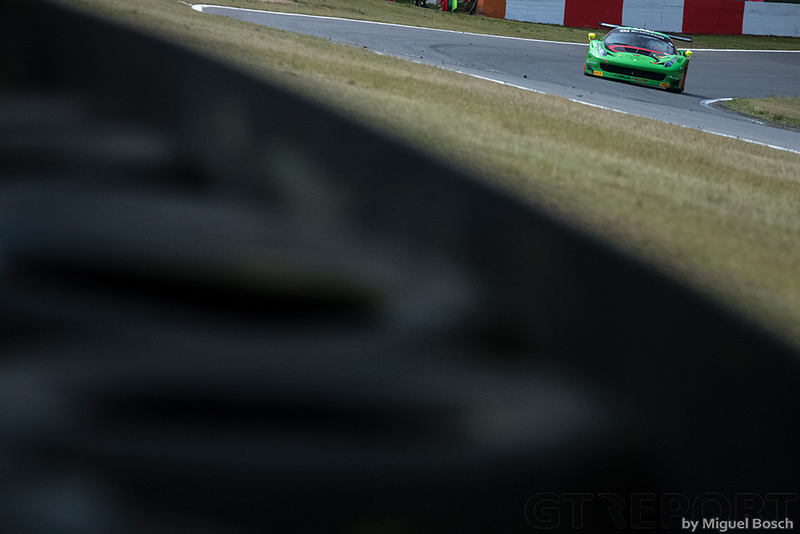 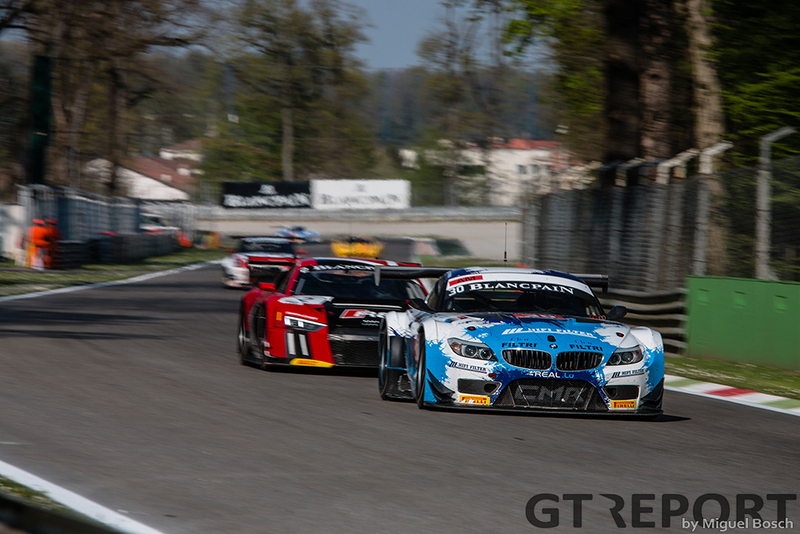 The season got underway with the Blancpain Sprint races at Nogaro. 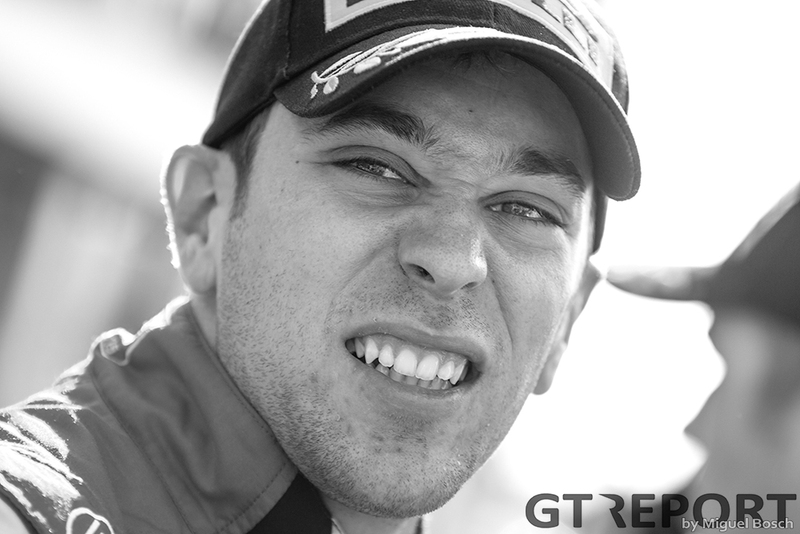 Audi saw their already impressive line up strengthened with the arrival of one-time Formula 1 aspirant Robin Frijns at WRT. 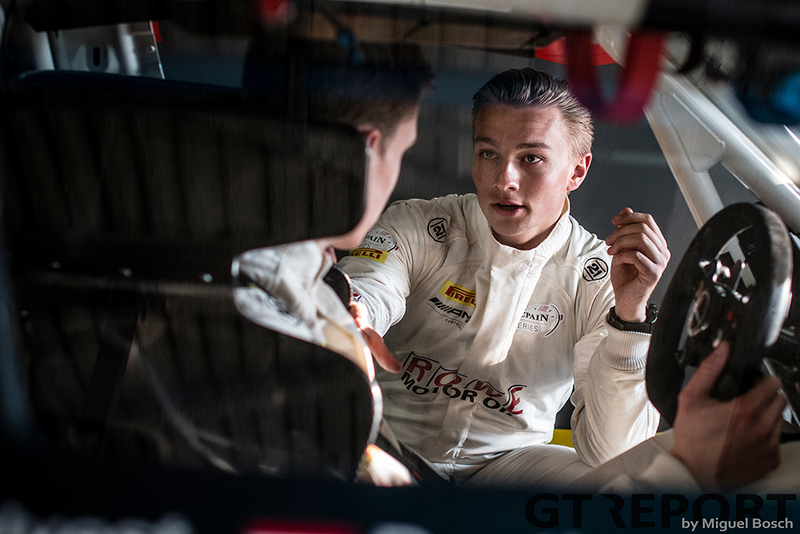 The Dutchman joined Laurens Vanthoor in what was easily the most promising drivers line up at the start of the season. 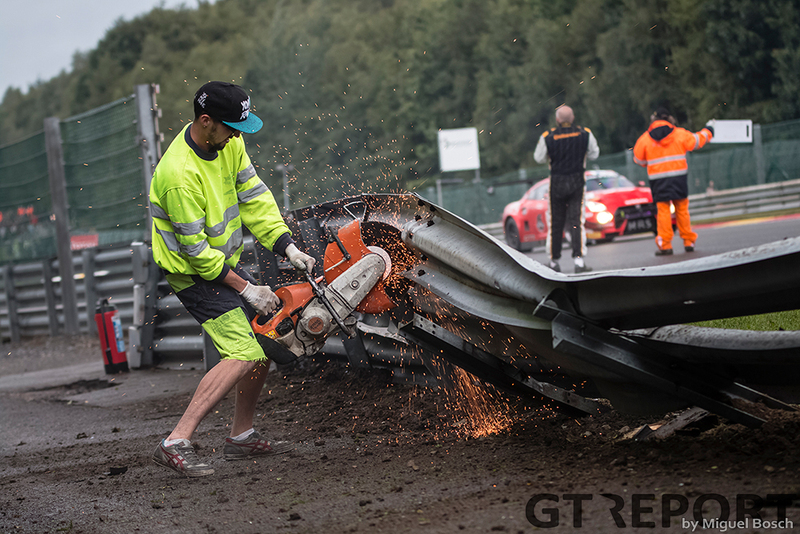 Their first act still had to wait one more weekend, though, as a heavy crash in practice caused damaged beyond immediate repair. 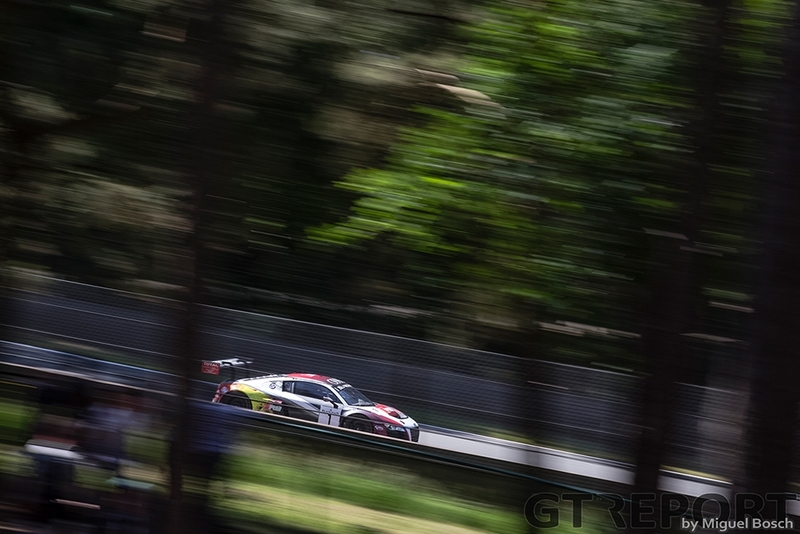 Capitalising on WRT’s bad luck was BMW Sports Trophy Team Brasil. 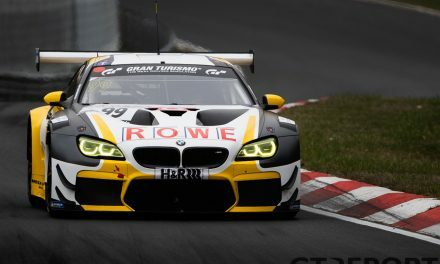 The AH Competições-ran squad had hired BMW works drivers Dirk Müller and Maxime Martin for the weekend as a clash with Stock Car Brasil meant Cacá Bueno and Sérgio Jimenez had to be in their home country for the popular national championship. 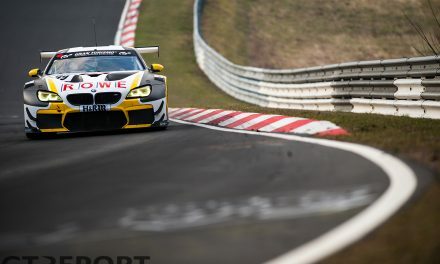 Going up against qualifying race winning duo Stéphane Ortelli and Stéphane Richelmi, the BMW team took their very first victory in the championship race on Monday. 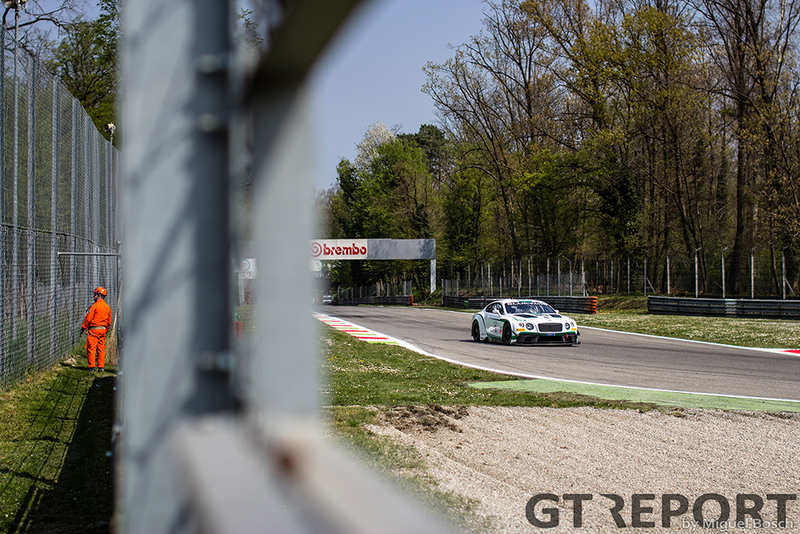 From the south of France the teams went to the north of Italy for the Endurance season opener at the historic Monza race track. 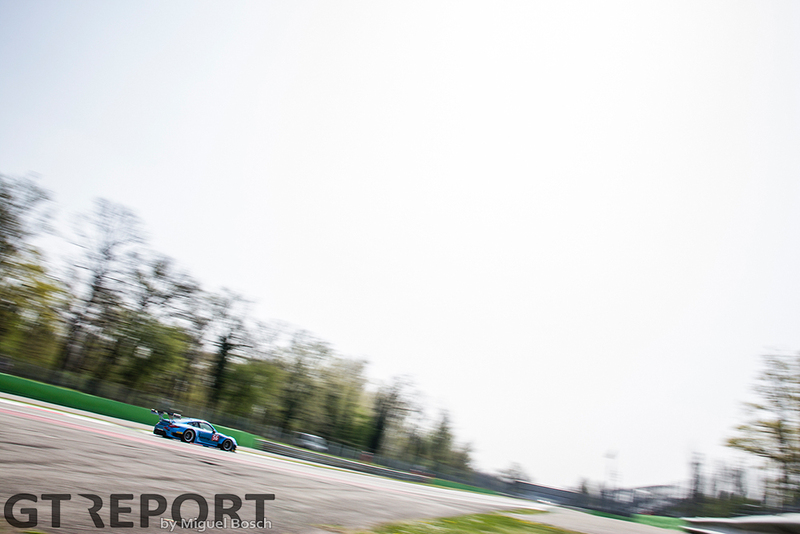 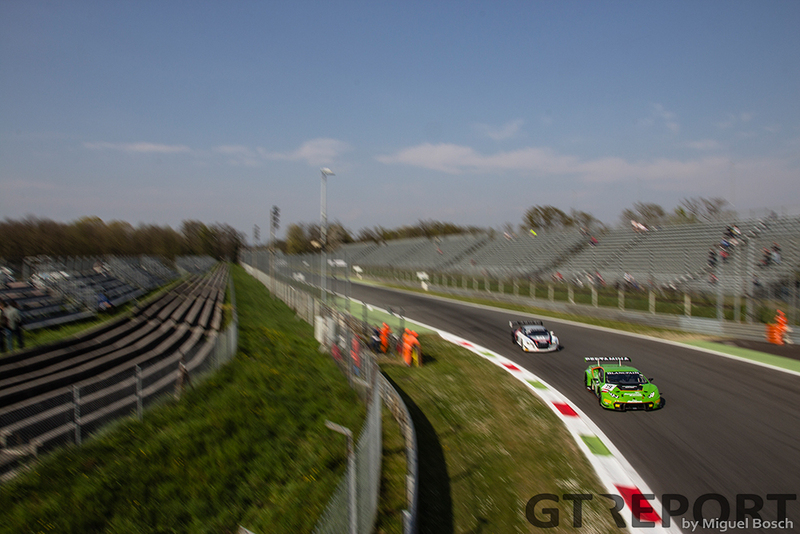 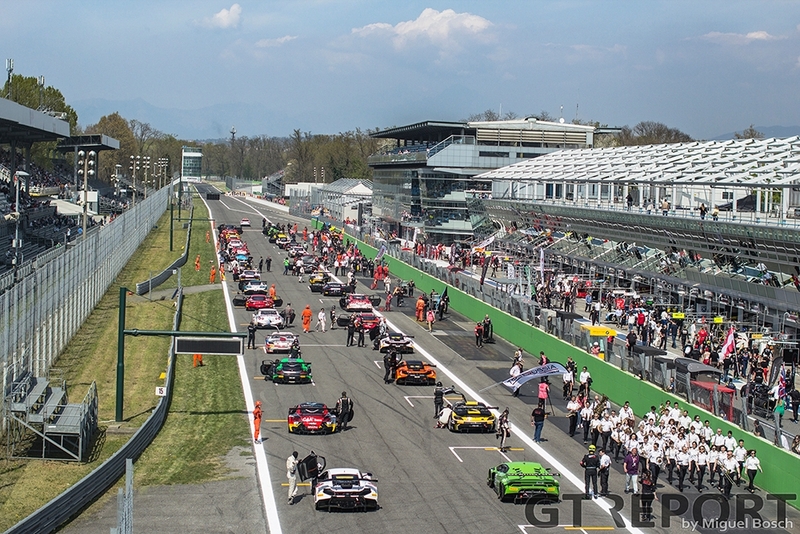 The fast course proved to be perfect for the sleek Italian race cars: Ferrari and Lamborghini dominated in the Brianza park, leaving the competition far behind. 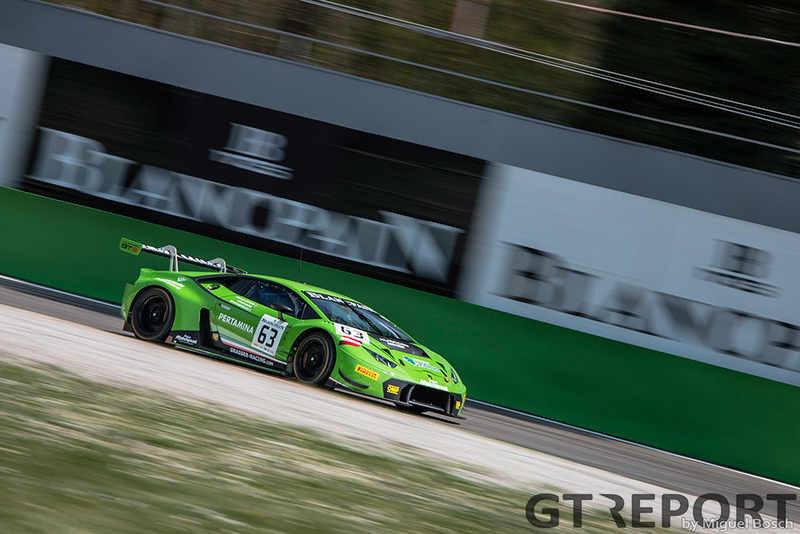 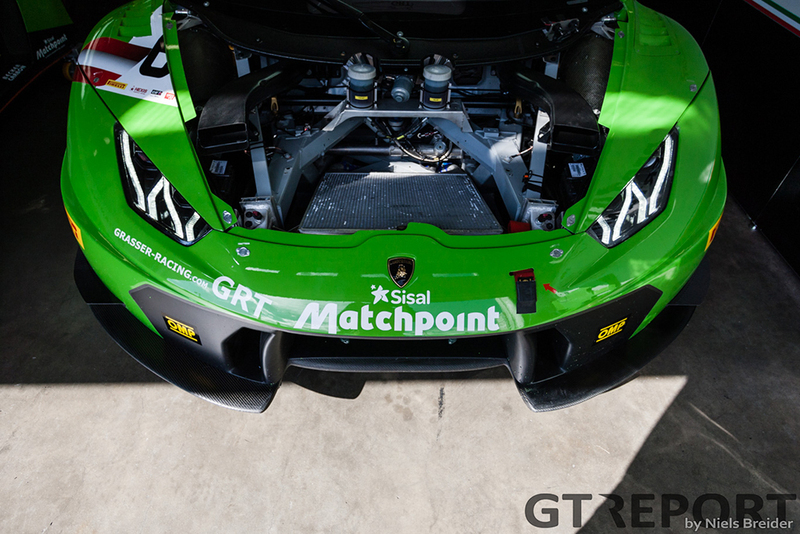 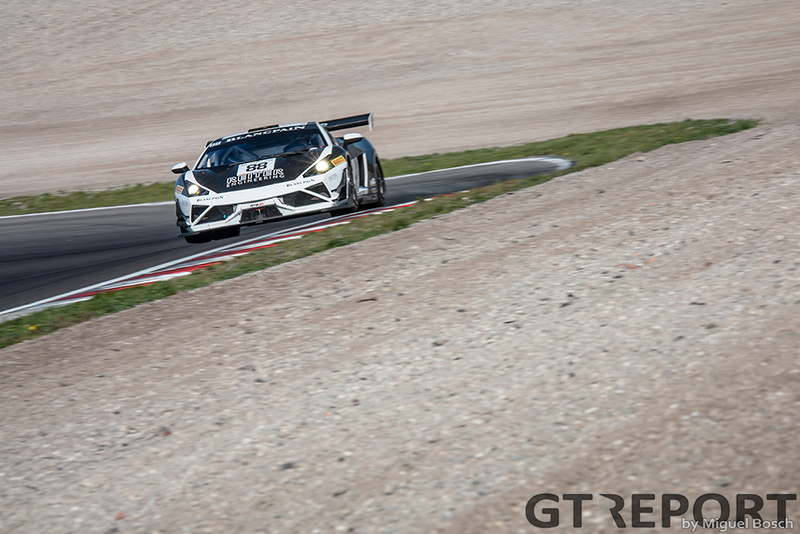 Showcasing its brand new car in competition for the first time ever, Lamborghini Squadra Corse together with Grasser Racing caused an upset by winning in the debut race of the Huracán GT3, on home soil. 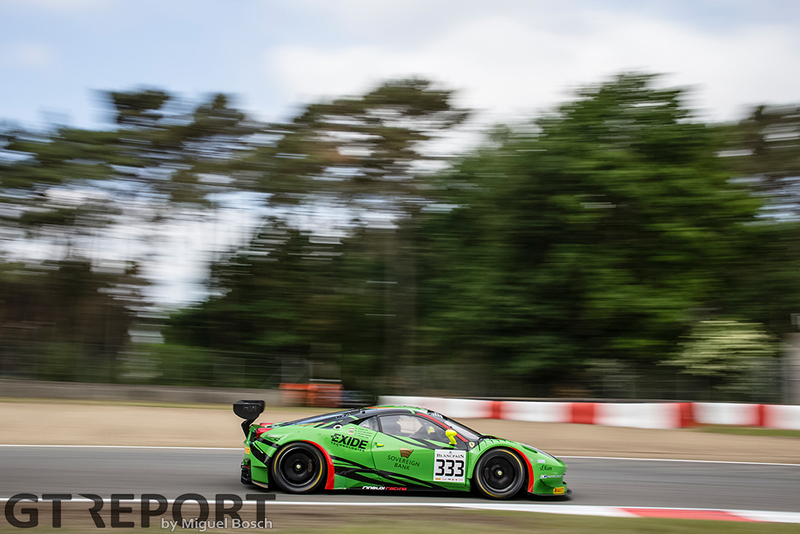 Joy quickly turned into disappointment when news came from scruteneering that the car of Jeroen Mul, Fabio Babini and Andrew Palmer had to relinquish its win as it used an illegal refuelling restrictor. 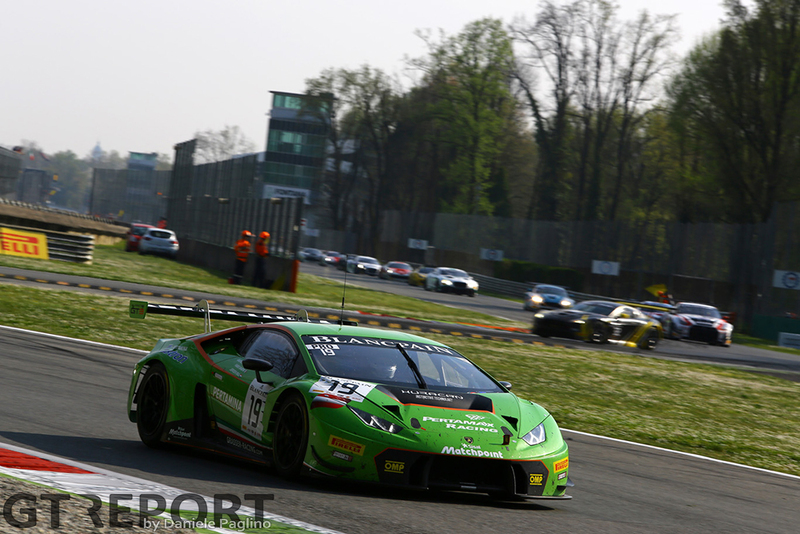 Following a long legal battle, Lamborghini was finally handed back the win in August, four months after they crossed the finish line in Monza. 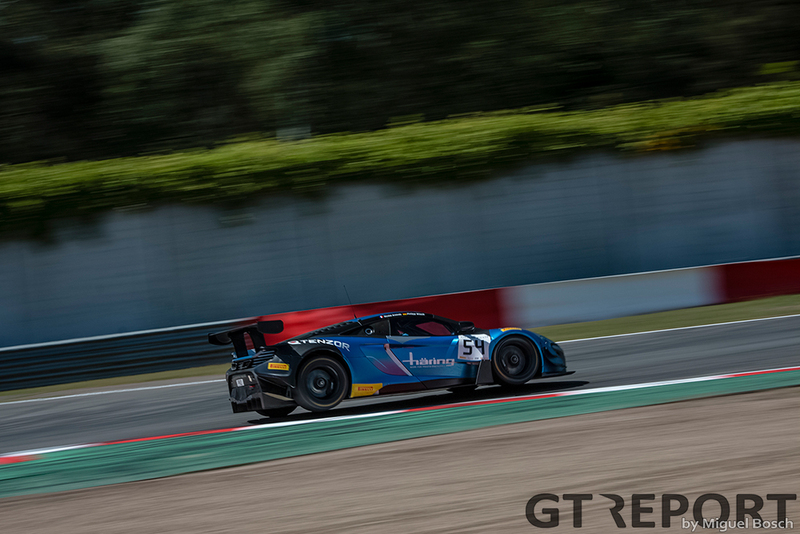 Arriving in Brands Hatch for the second round of the Sprint Series, the Vanthoor-Frijns tandem was ready for the first sprint race of the season. 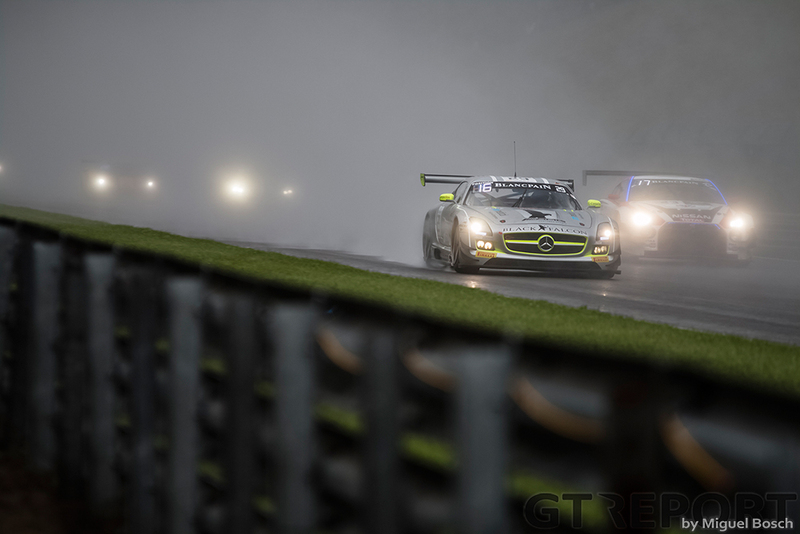 Under the smoke of London they were no match for the rest of the field, going home with a maximum score after taking pole position and two race wins. 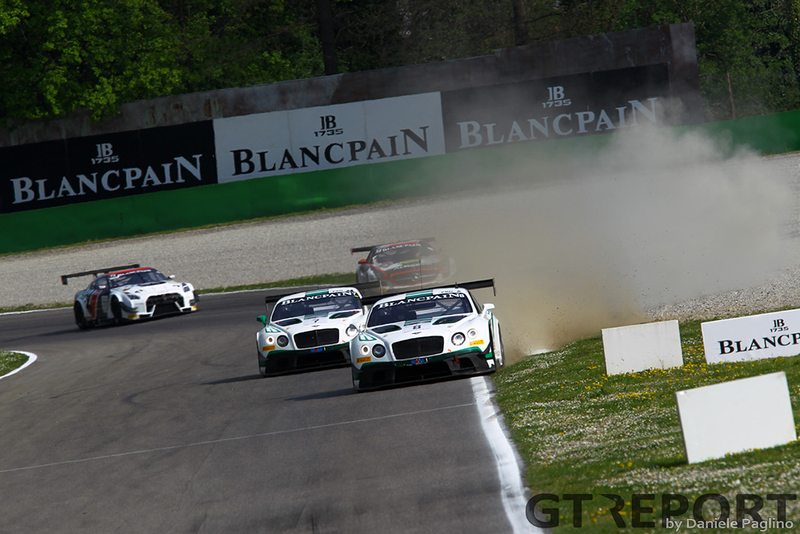 Not on the grid this time were Bentley Boys Maximilian Buhk and Vincent Abril. 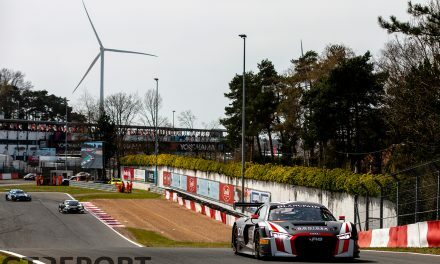 Like Vanthoor and Frijns in Nogaro, their car was destroyed in practice forcing the German-French duo to watch from the sidelines. 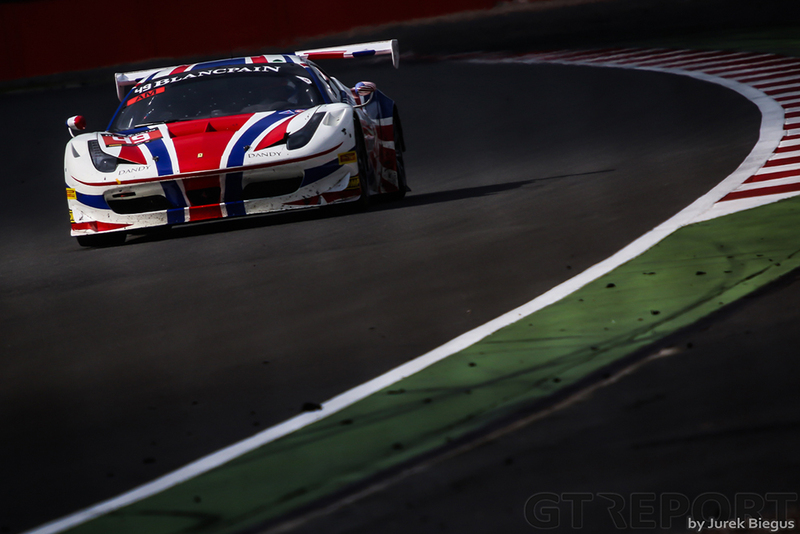 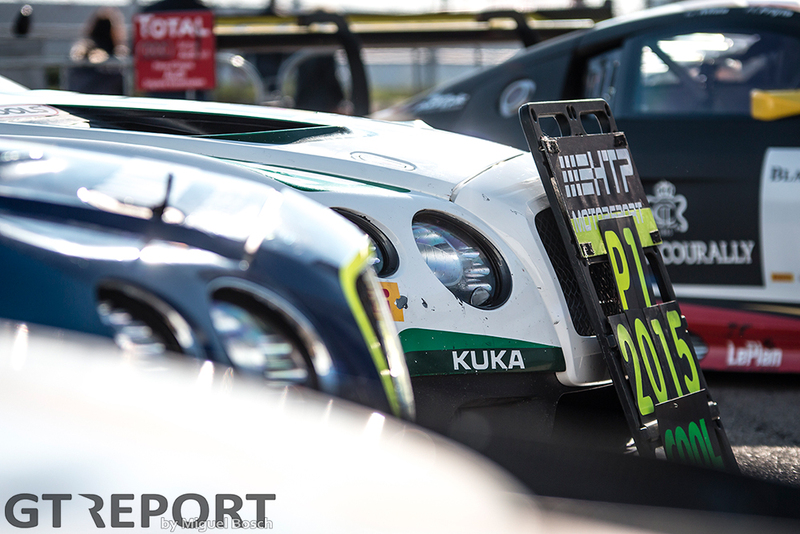 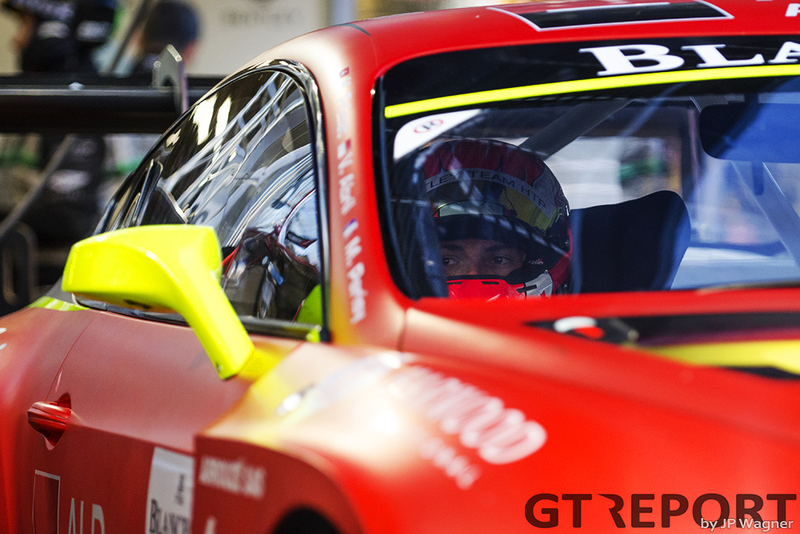 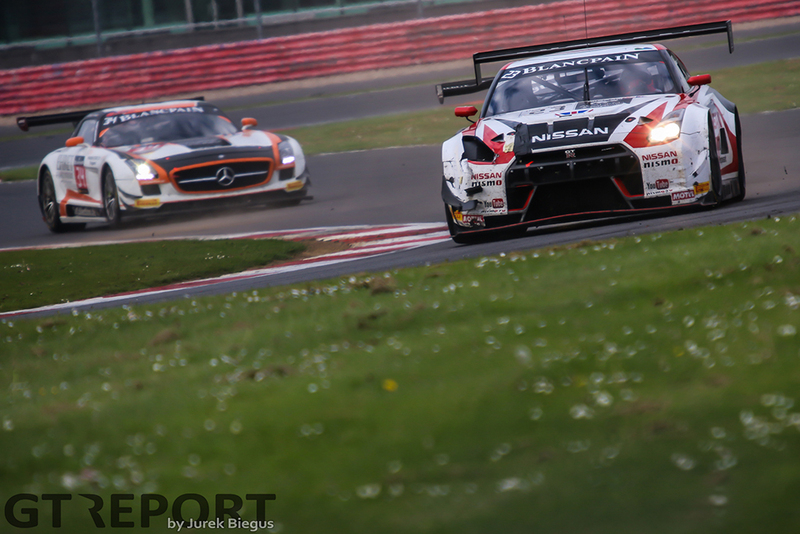 Round four of the Blancpain GT championship was held at Britain’s Silverstone Circuit. 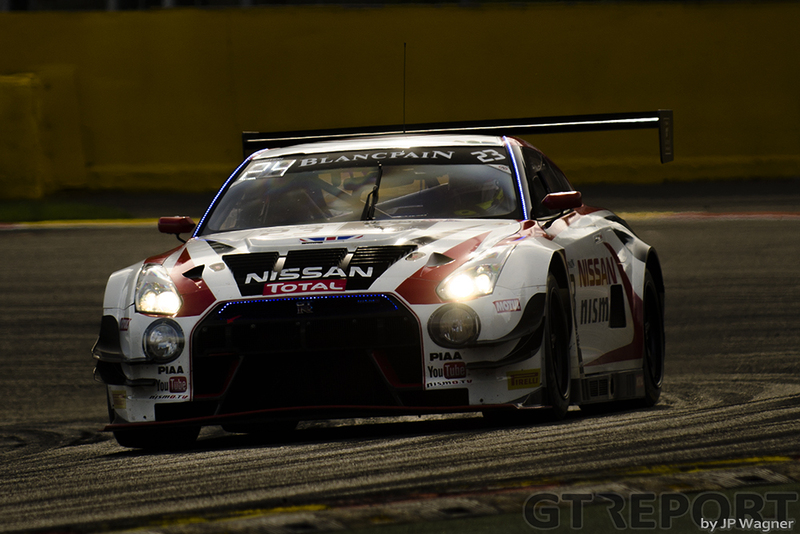 Here Nissan for the first time this year made it abundantly clear that its Nissan GT Academy Team RJN team with drivers Wolfgang Reip, Katsumasa Chiyo and Alex Buncombe would and could compete for the championship. 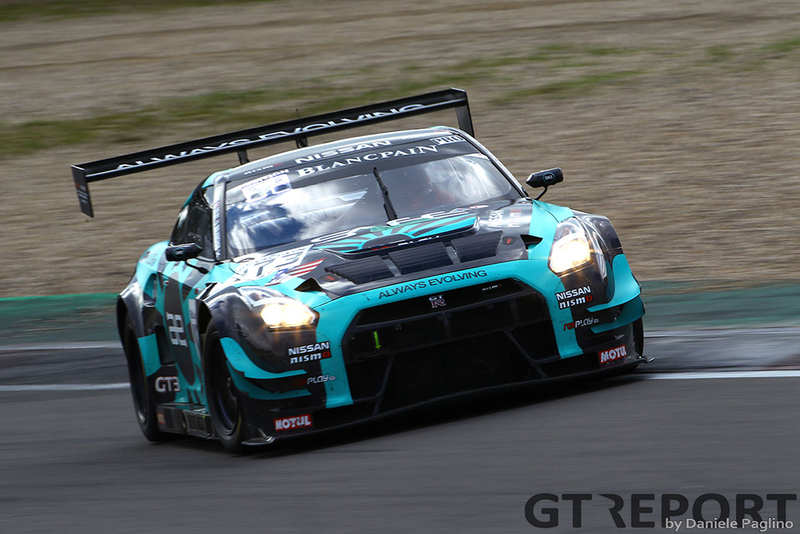 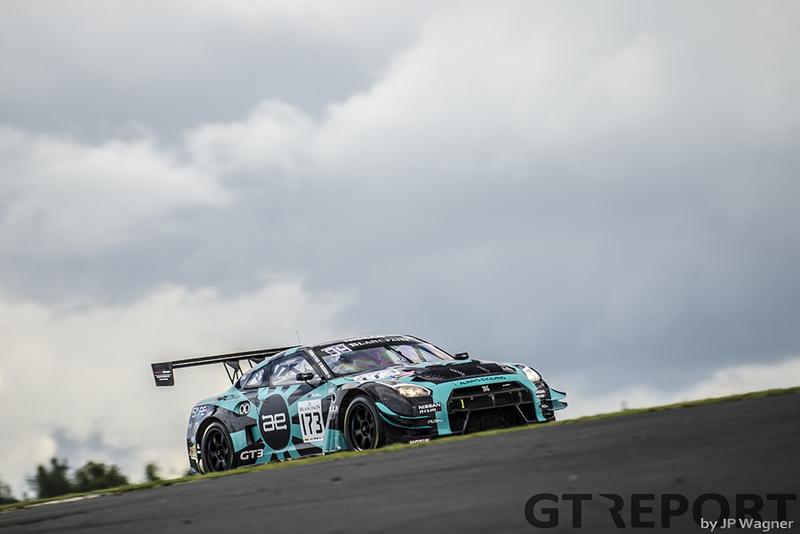 After taking pole position in qualifying, Reip took off at the start to keep the Nissan GT-R Nismo GT3 in front for a long time. 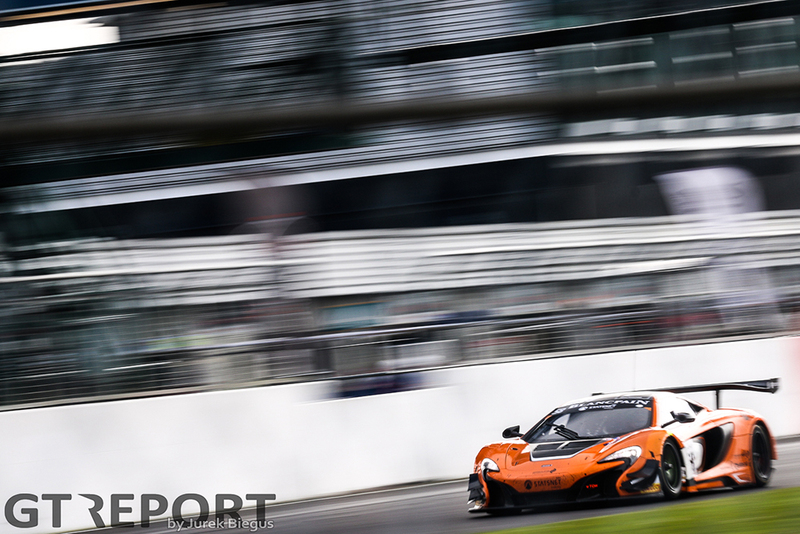 McLaren’s Von Ryan Racing team, however, was lurking. 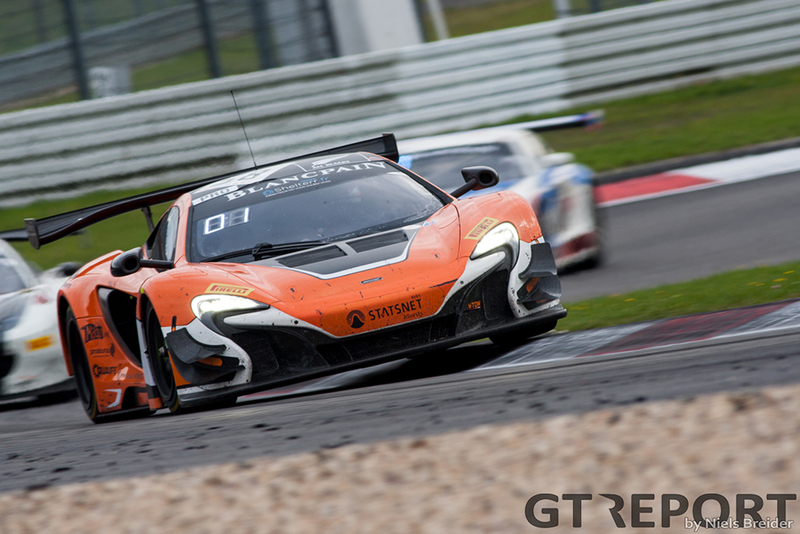 When a full course caution came out, the British team under the command of former McLaren F1 team director Dave Ryan, saw an opportunity to gain ground and decided to come in for an early pit stop, losing only time for standing still to be serviced. 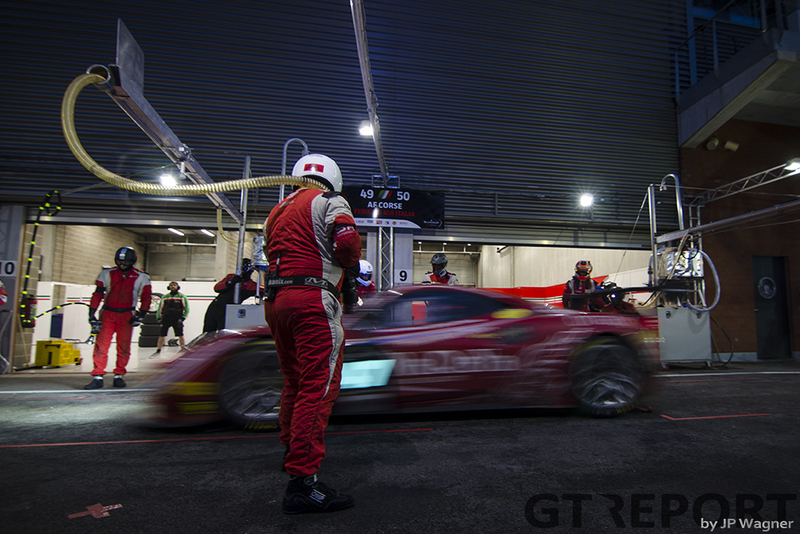 Reip eventually lost the lead to the Rinaldi Racing Ferrari after getting caught up in traffic. 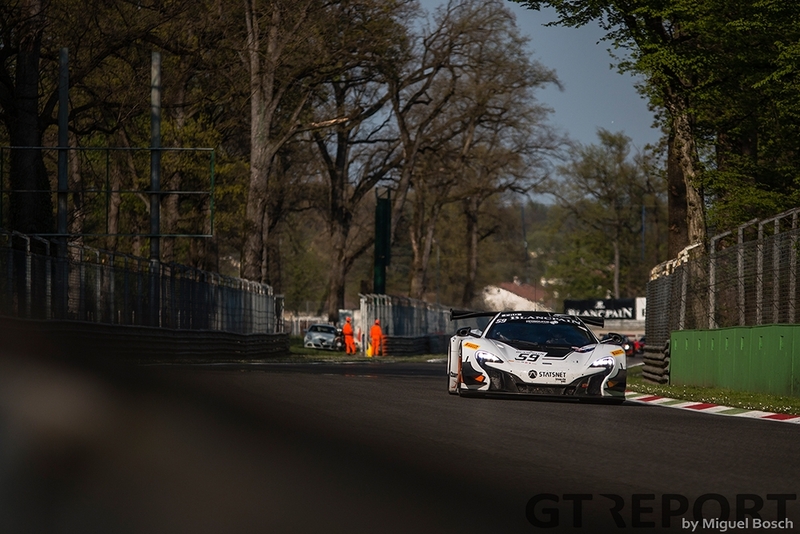 The first round of planned pit stops was conducted under green, giving McLaren a huge advantage over the rest of the field. 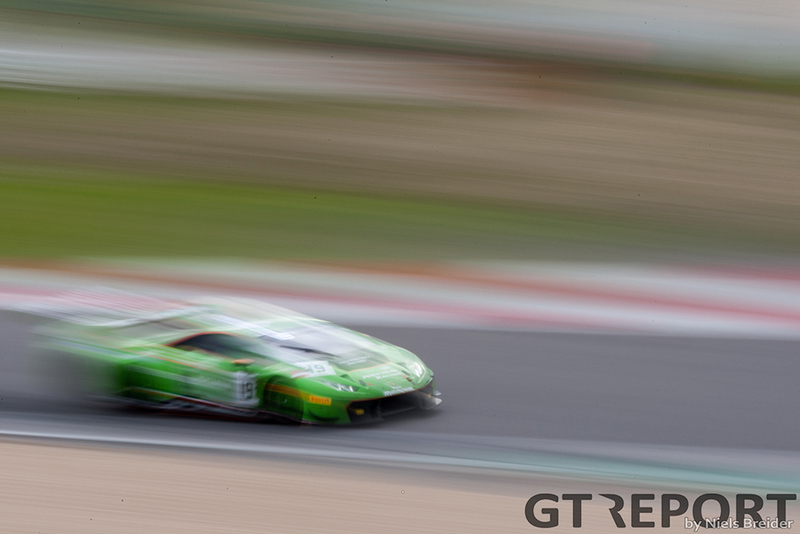 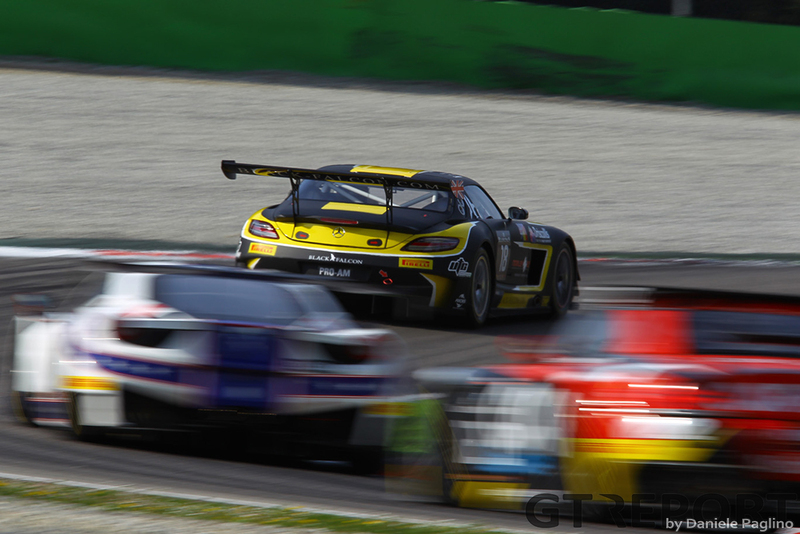 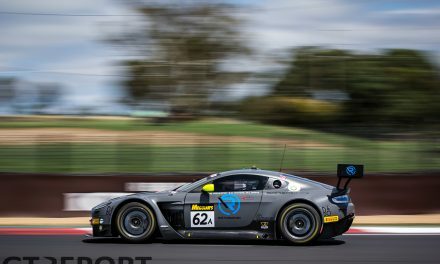 The gap, in fact, was now so big that Rob Bell, Shane Van Gisbergen and Kévin Estre could easily maintain the lead throughout the next two hours to take the first win of the McLaren 650S GT3. 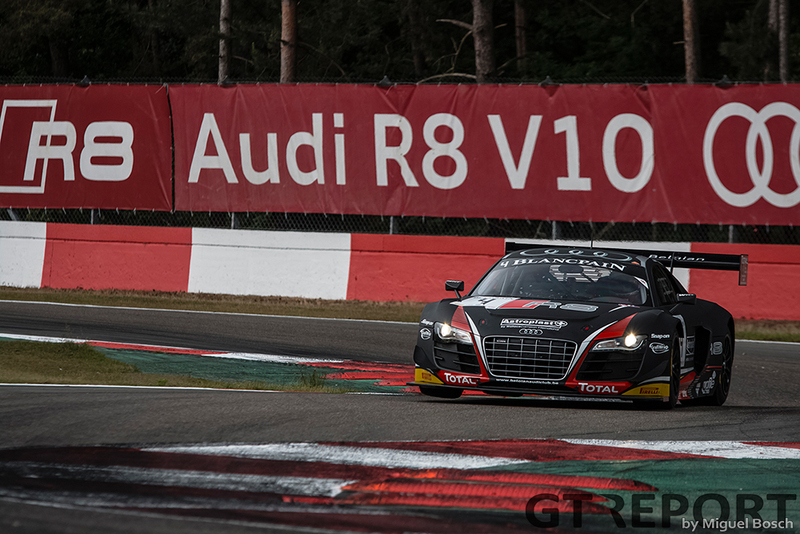 The Blancpain Sprint Series round at Zolder once again saw home squad WRT Audi’s Vanthoor and Frijns dominate in the same fashion as in Brands Hatch. But now Buhk and Abril were closing in, finishing third in the qualifying race and second in the main race. 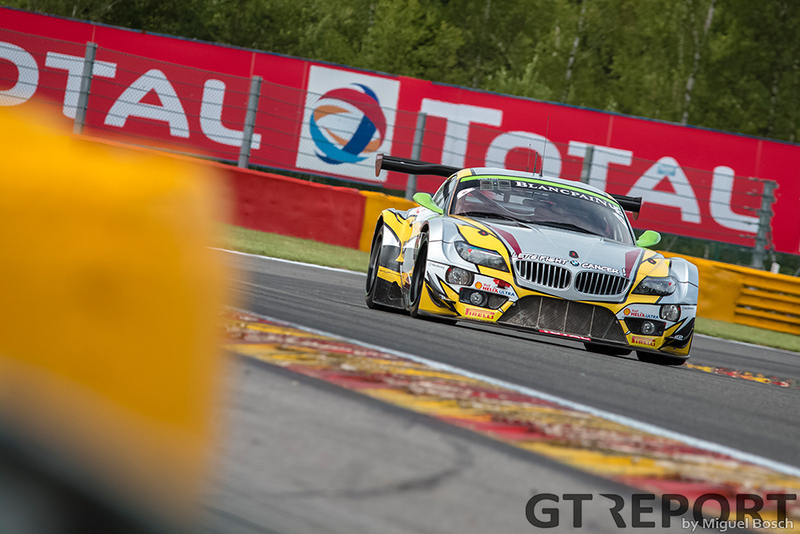 As the last endurance race before the Spa 24 hours, the 1000 kilometre of Paul Ricard saw Marc VDS Racing return to the championship where the Belgian team made a name for itself some years before. 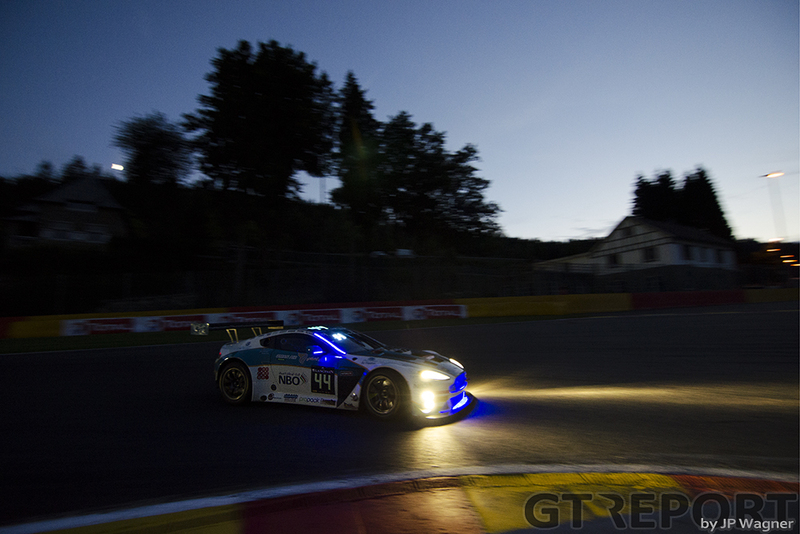 Tough battles well into the night were the story of the race, with starring roles for the Maxime Martin, Lucas Luhr and Markus Palttala driven Marc VDS BMW Z4 GT3, M-Sport Bentley Continental GT3 of works drivers Steven Kane, Andy Meyrick and Guy Smith, and Team RJN Nissan GT-R Nismo GT3 pilots Alex Buncombe, Katsumasa Chiyo and Wolfgang Reip. 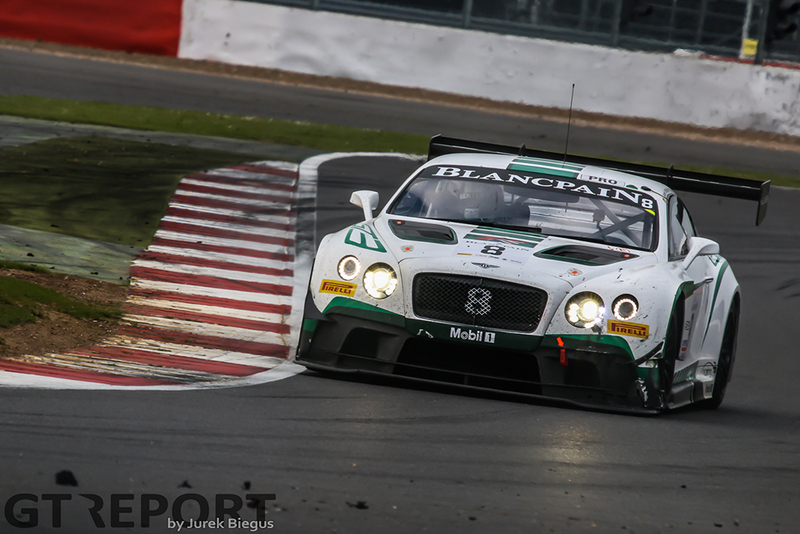 The Japanese-British team was finally relieved of Bentley’s pressure during the final minutes of the race, when Kane found himself spinning onto the back straight after pushing and closing in on the leader lap after lap, crossing the finish line under a starry heaven. 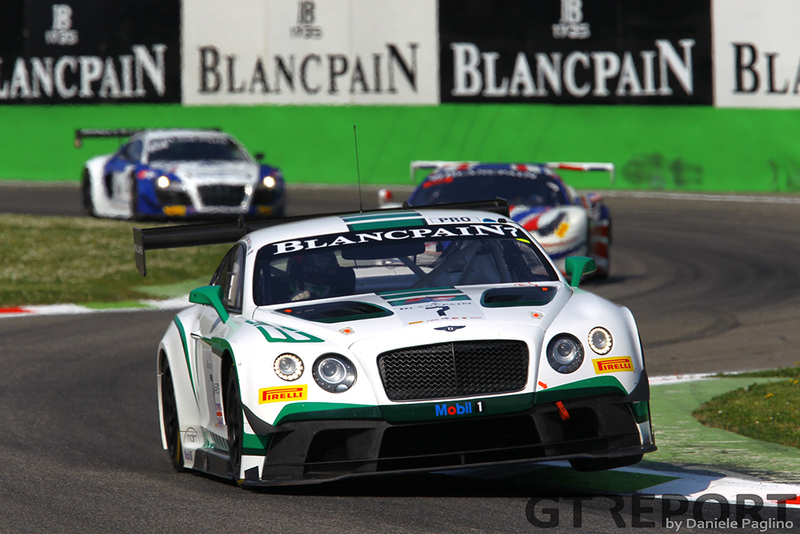 HTP Bentley’s resurrection in the Blancpain Sprint Series continued in Moscow, now finishing third in the qualifying race and winning the main race, while Frijns and Vanthoor suffered a big loss in points due to retirement in the qualifying race. 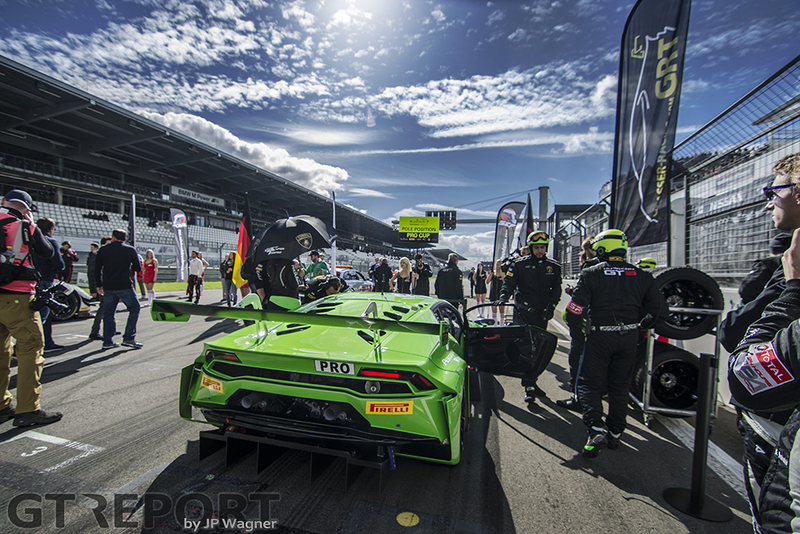 The win on Saturday went to the Reiter Lamborghini Gallardo LP 560-4 R-EX, courtesy of a stellar drive by Nick Catsburg and Albert von Thurn und Taxis who stayed out in front all race long. 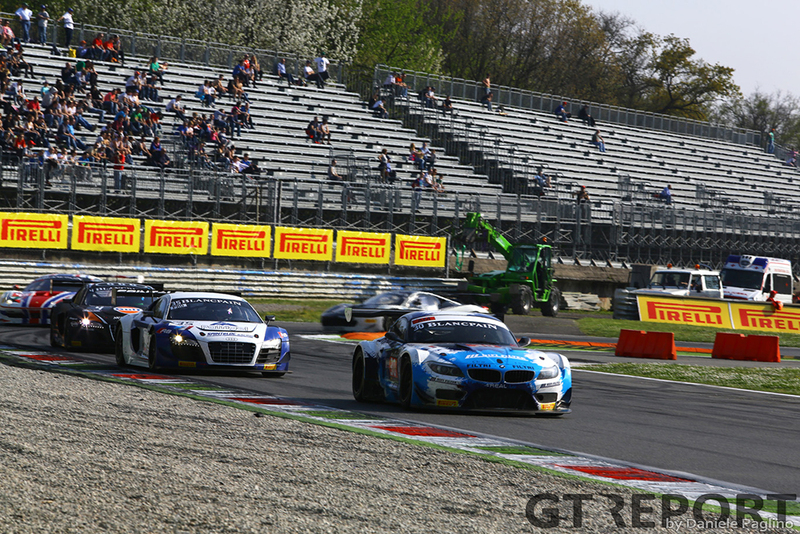 Reiter couldn’t repeat this feat a day later: Von Thurn und Taxis was crashed out of the race at the start by Enzo Ide in one of the WRT Audi’s. 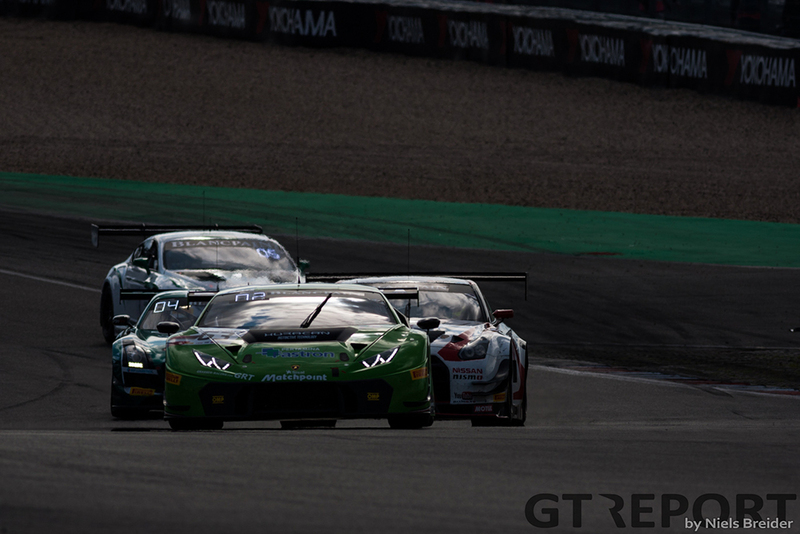 Abril had already shot to the lead when the Lamborghini was hit, driving off to the win without serious pressure. 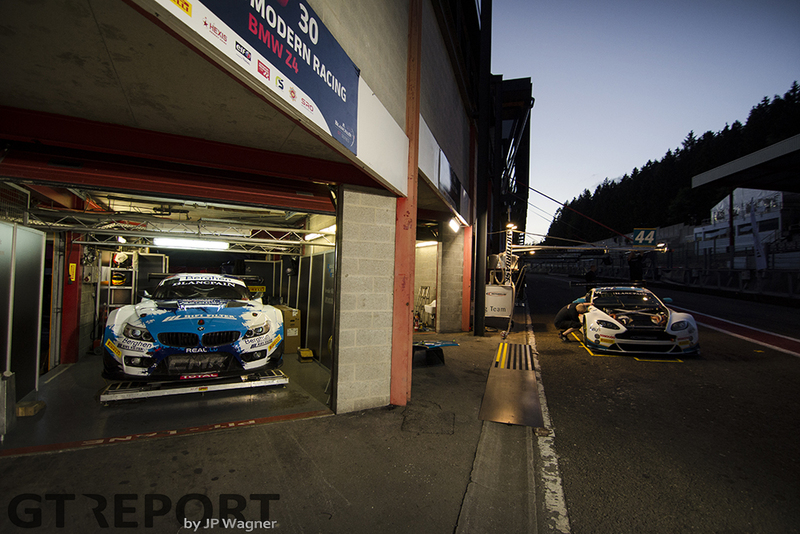 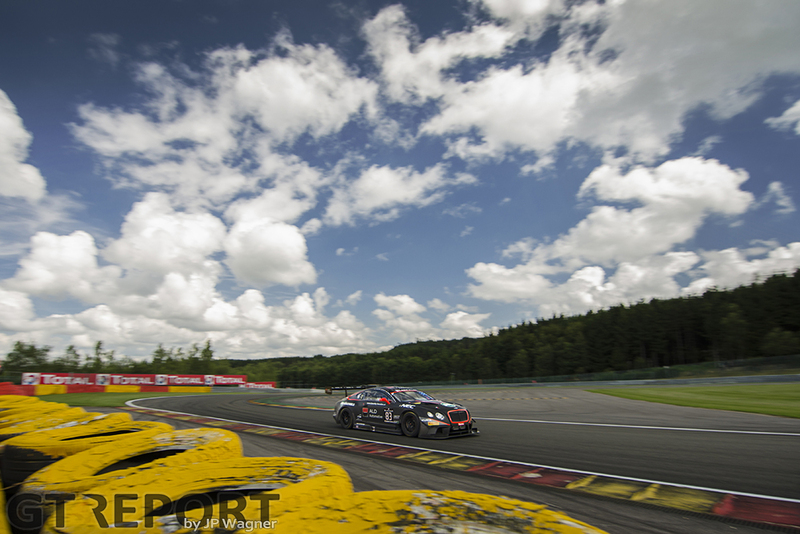 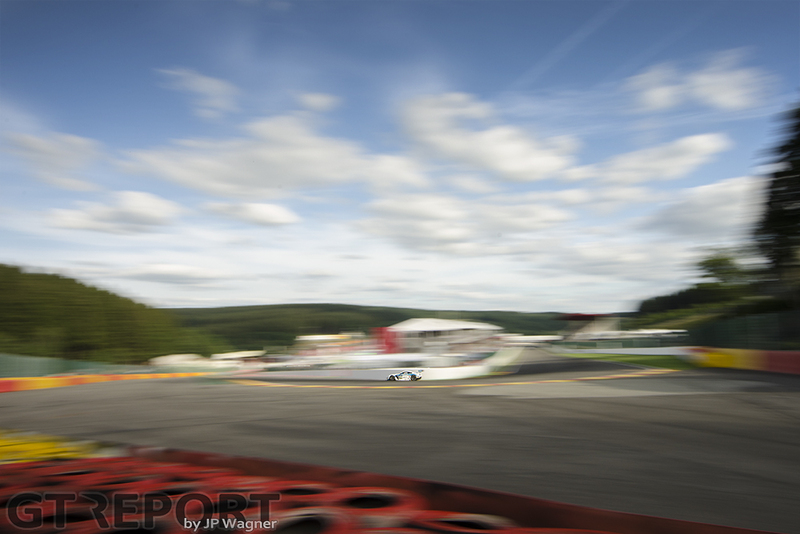 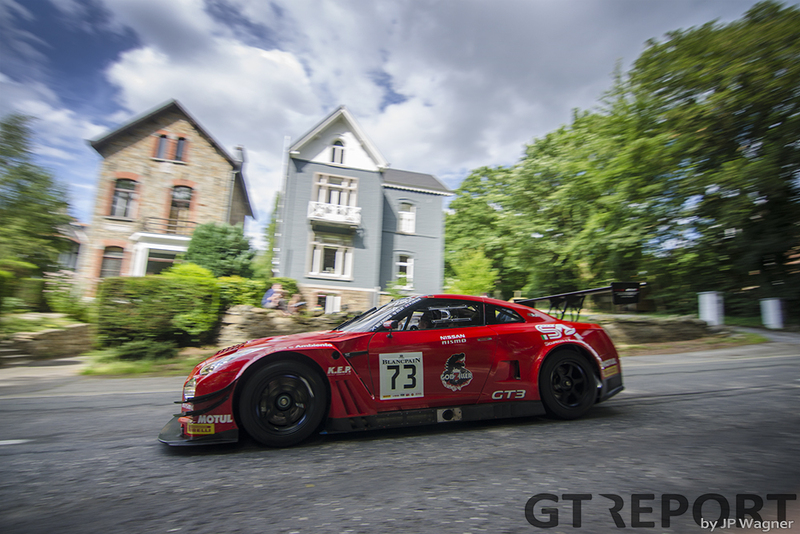 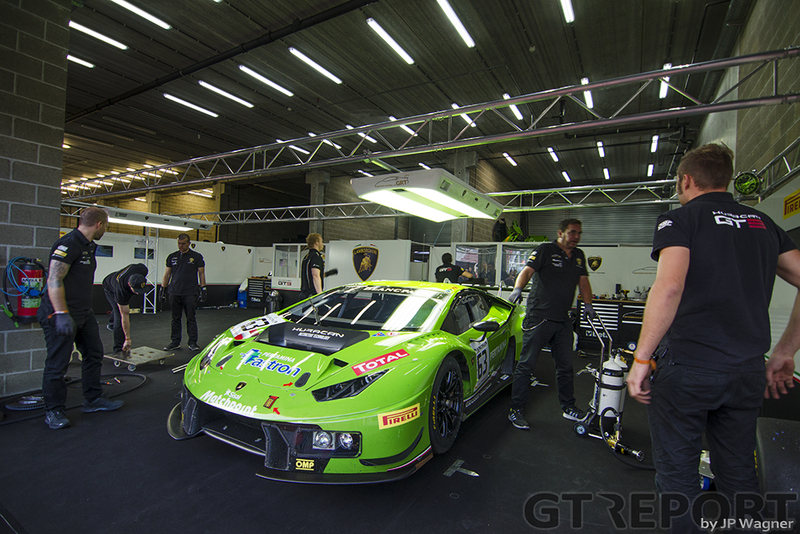 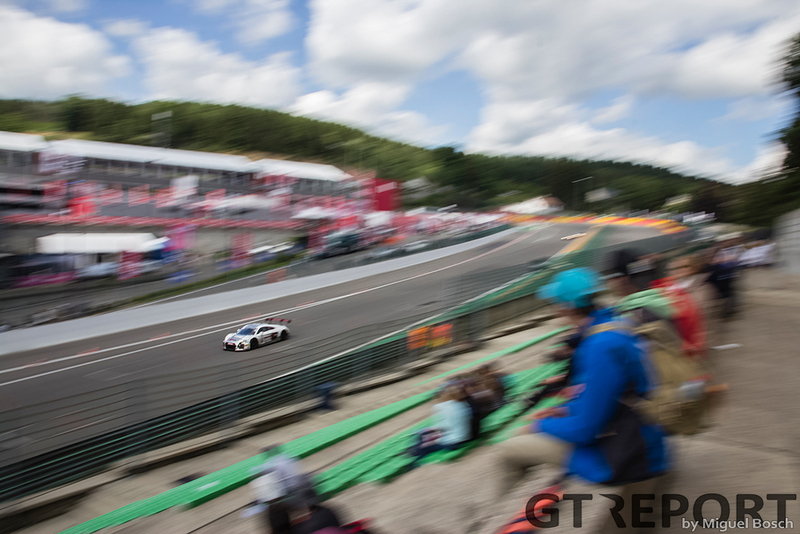 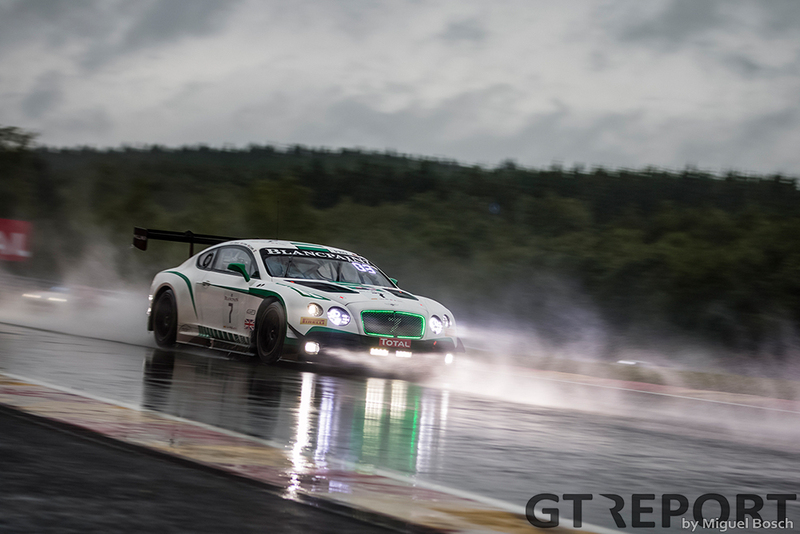 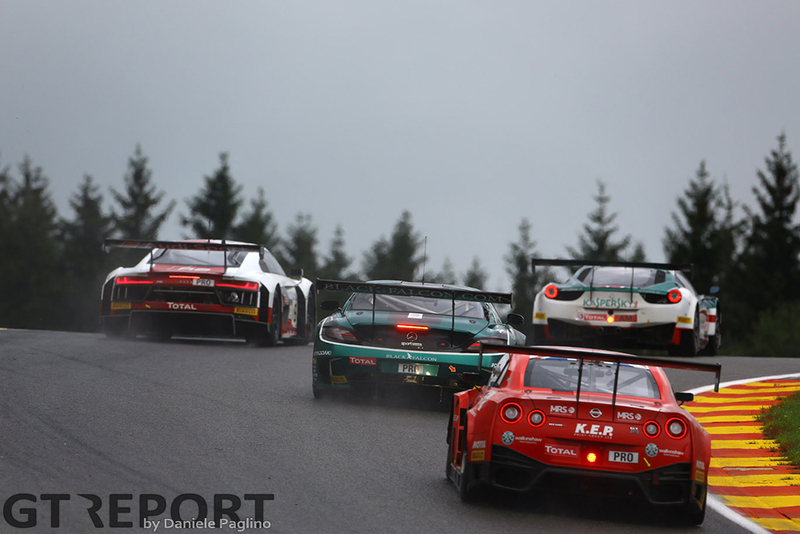 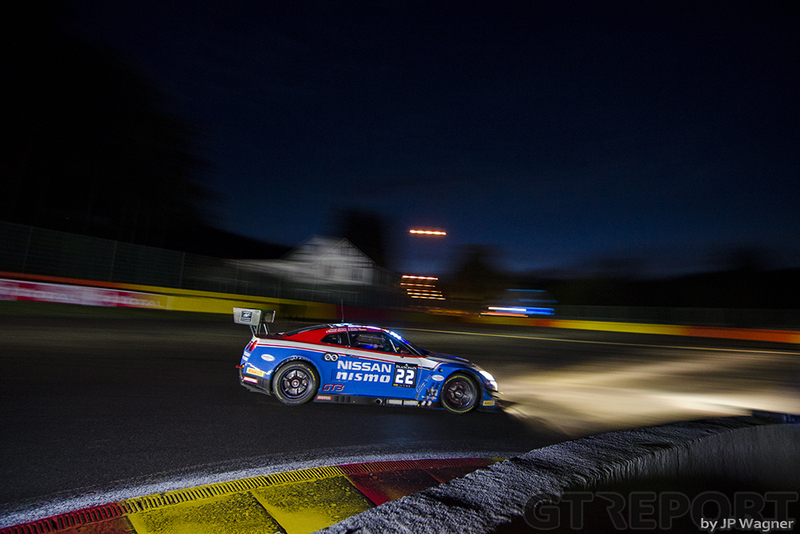 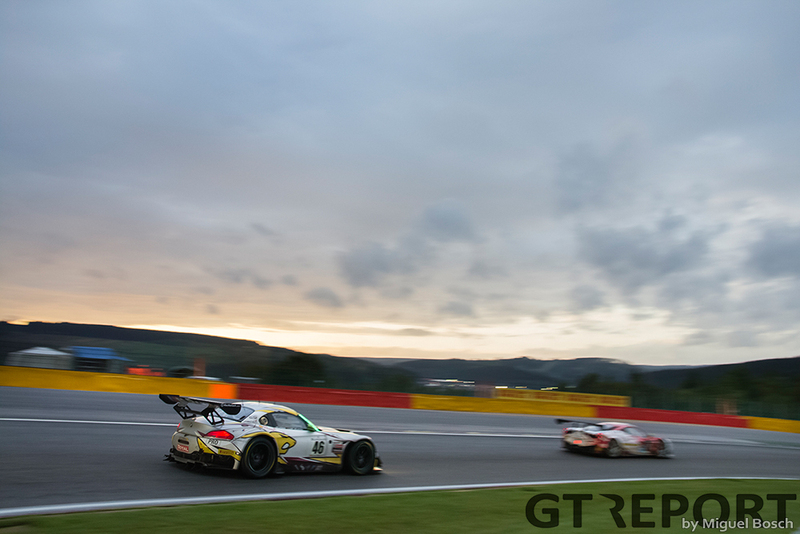 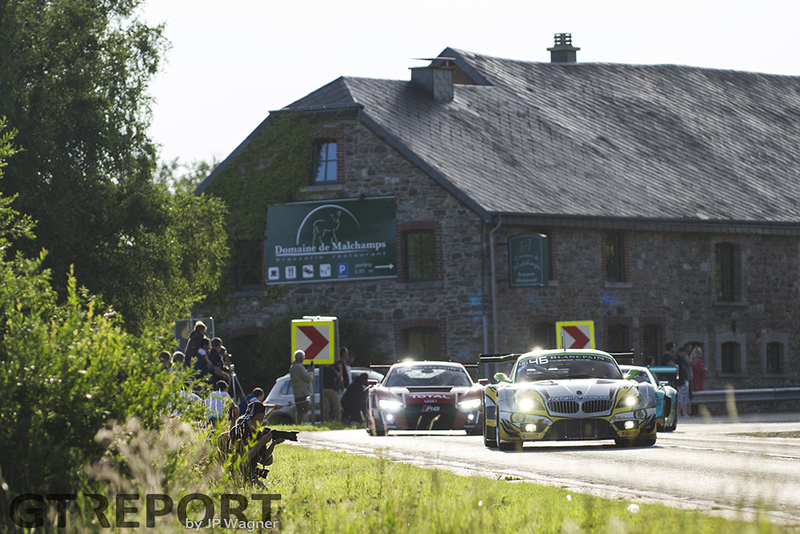 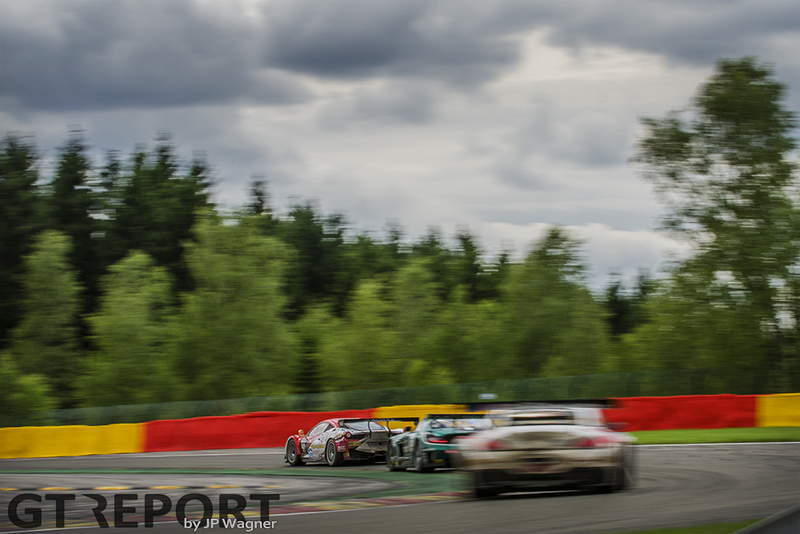 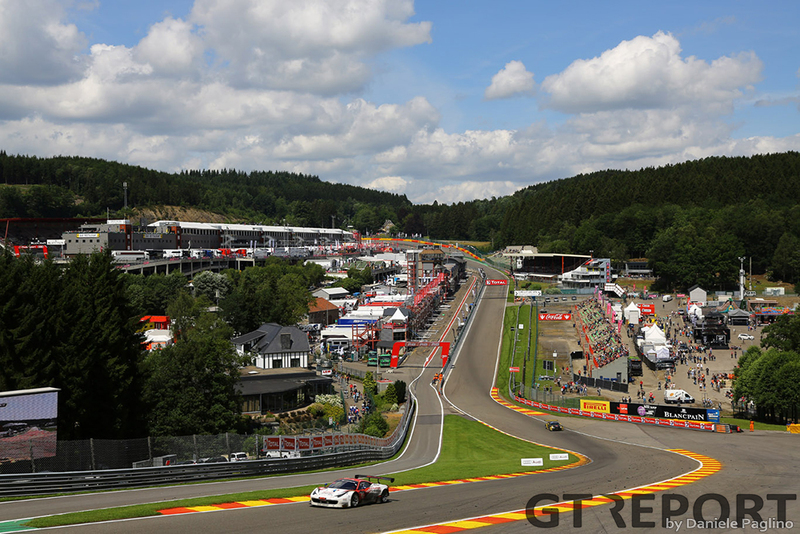 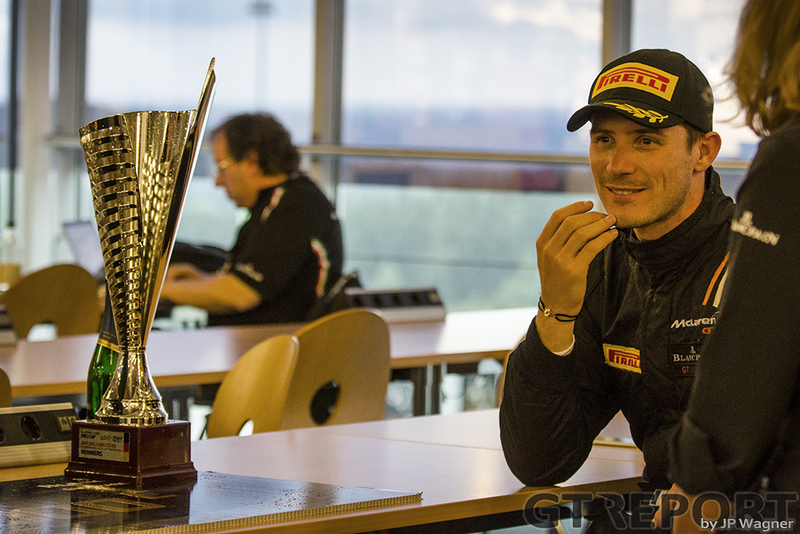 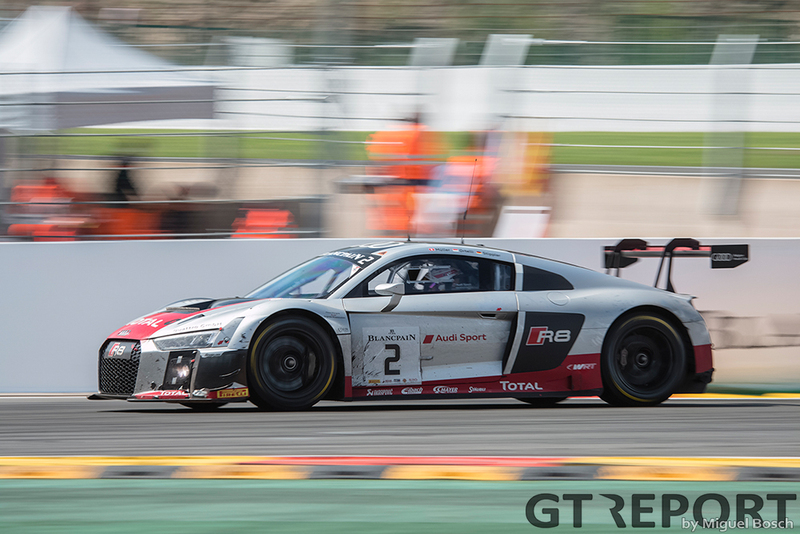 Blancpain GT’s crown event, the 24 hours of Spa, took place at the end of July. 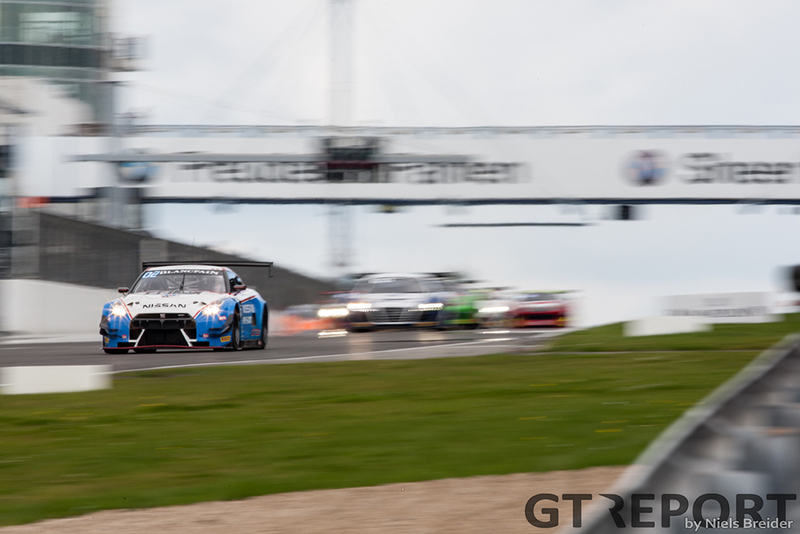 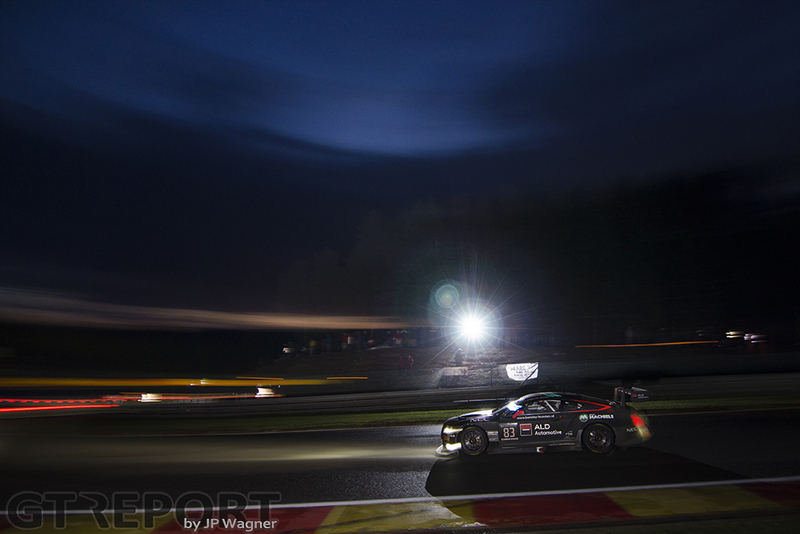 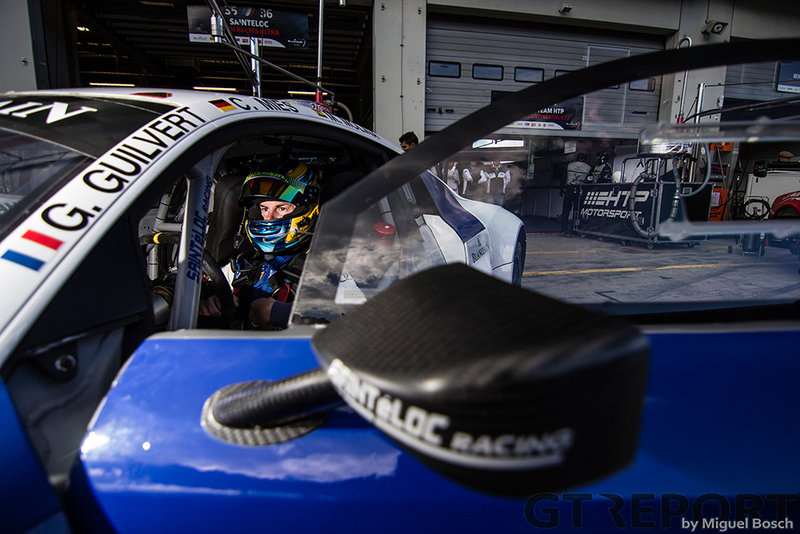 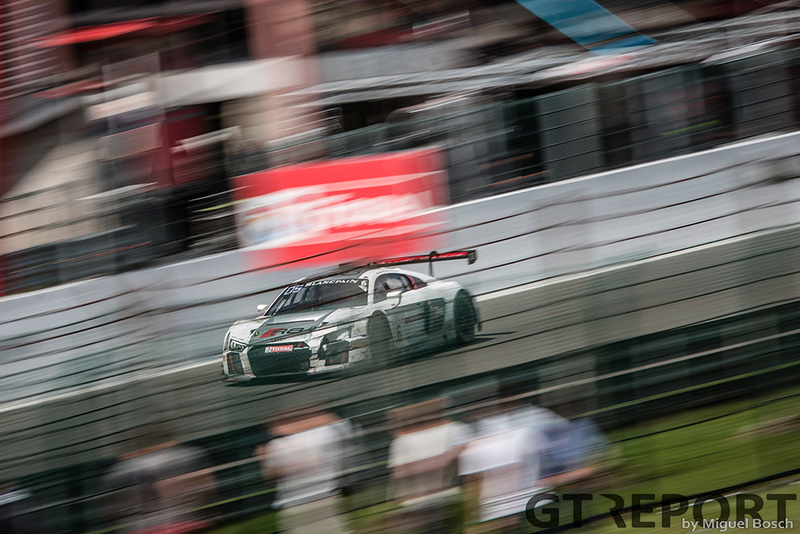 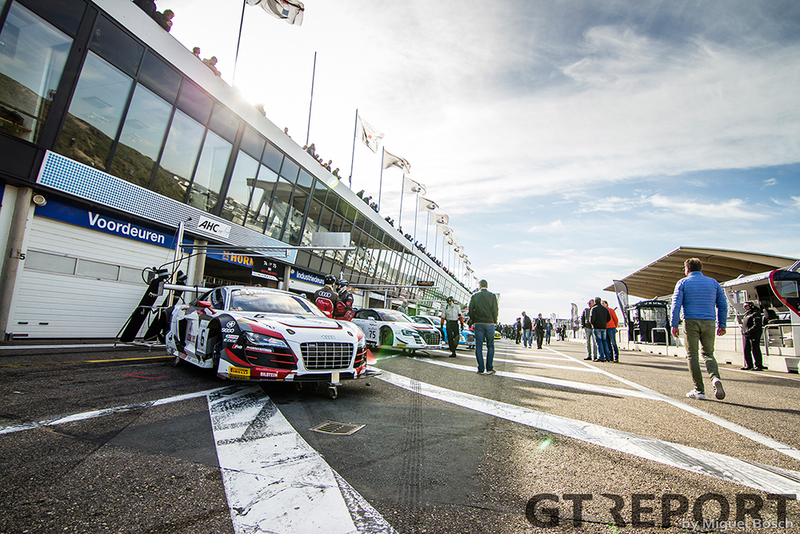 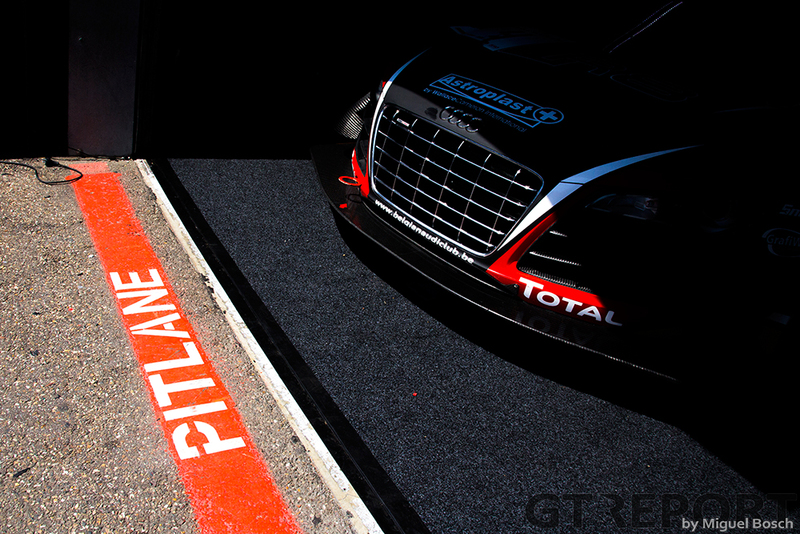 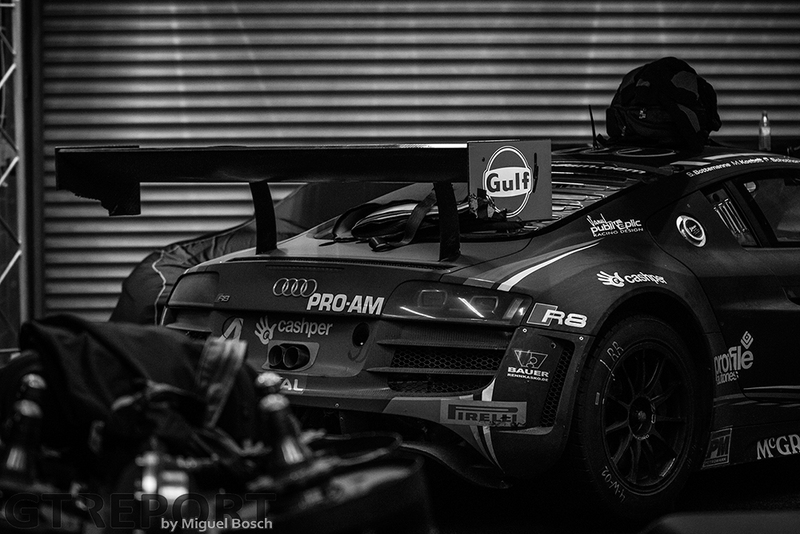 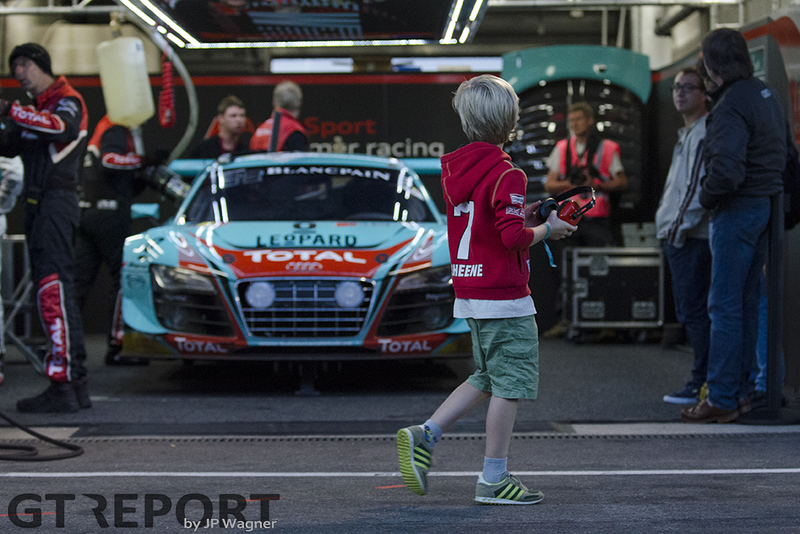 All eyes were on Audi, who brought no less than four brand new, 24 hours of the Nürburgring winning Audi R8 LMS GT3 Mk. 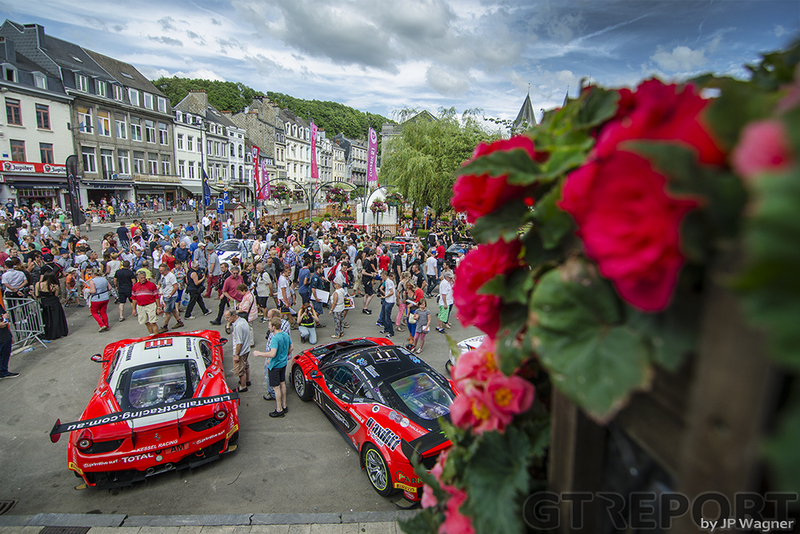 II’s to the Ardennes. 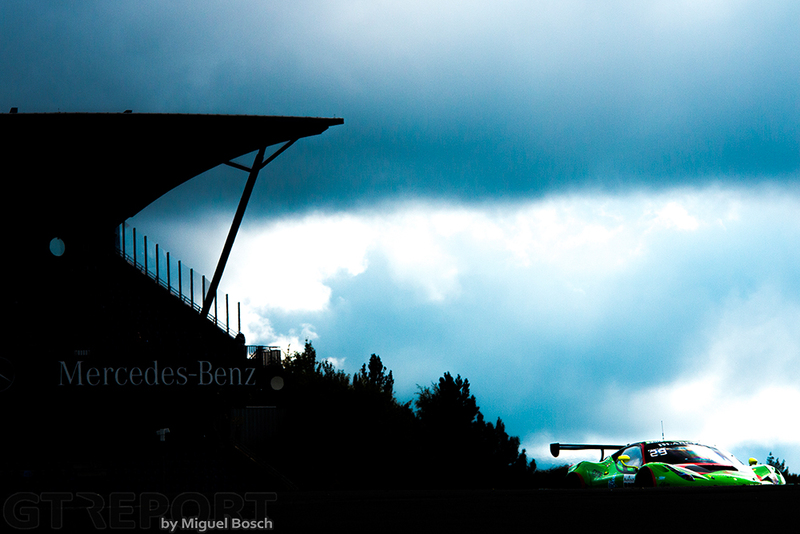 And for a while it looked like the Stuttgart brand had the best cards to win. 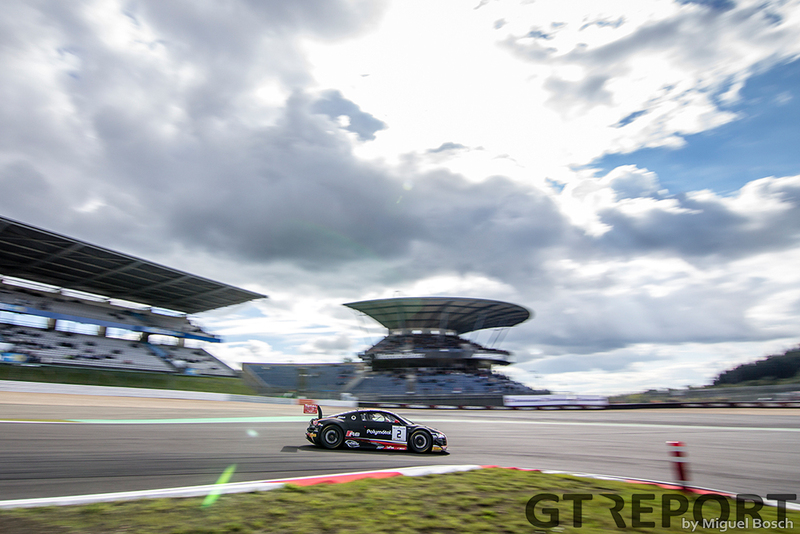 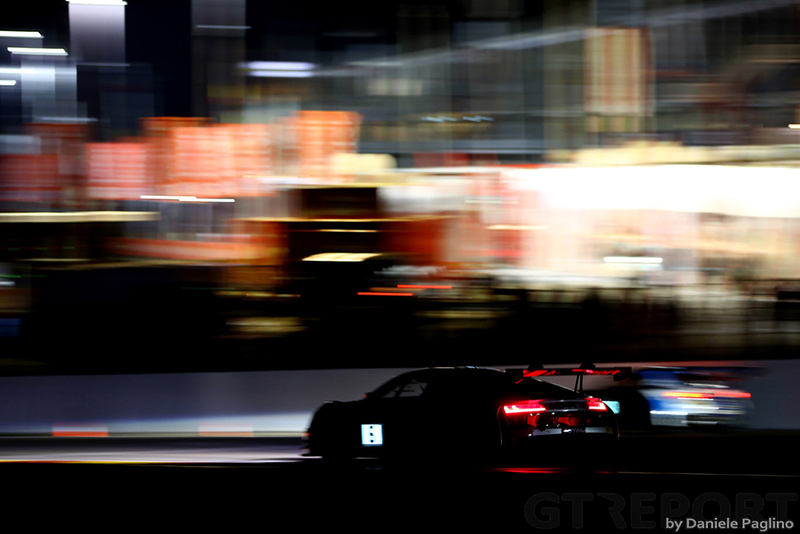 That was until late on Saturday evening, when on a wet but drying track Vanthoor made a costly mistake of which the number 1 Audi would be unable to recover. 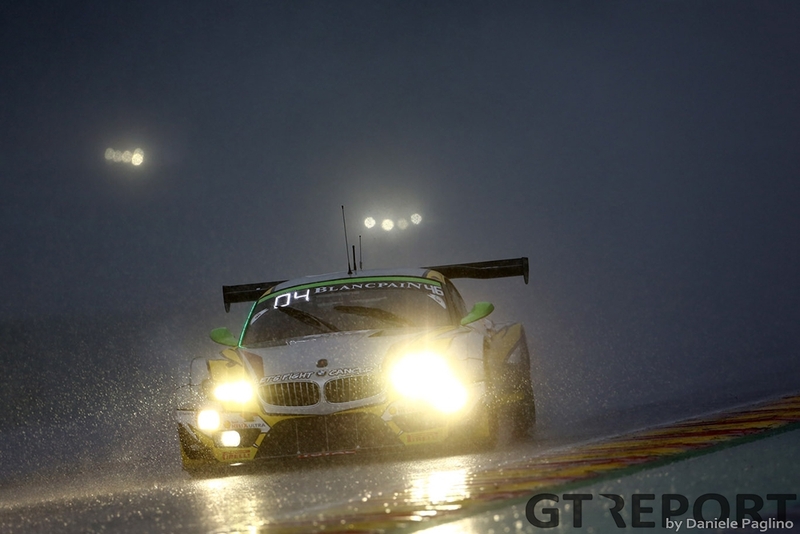 On Sunday, when the rain had made way for sunshine, Marc VDS’s Catsburg, Palttala and Luhr emerged in front. 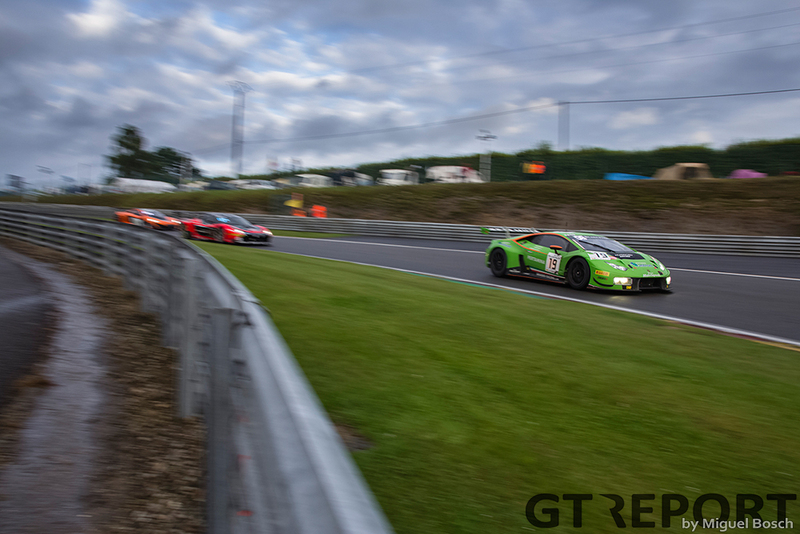 The trio had been pushing all night and all morning long, after the downpour on Saturday afternoon had thrown them into the lower regions of the charts. 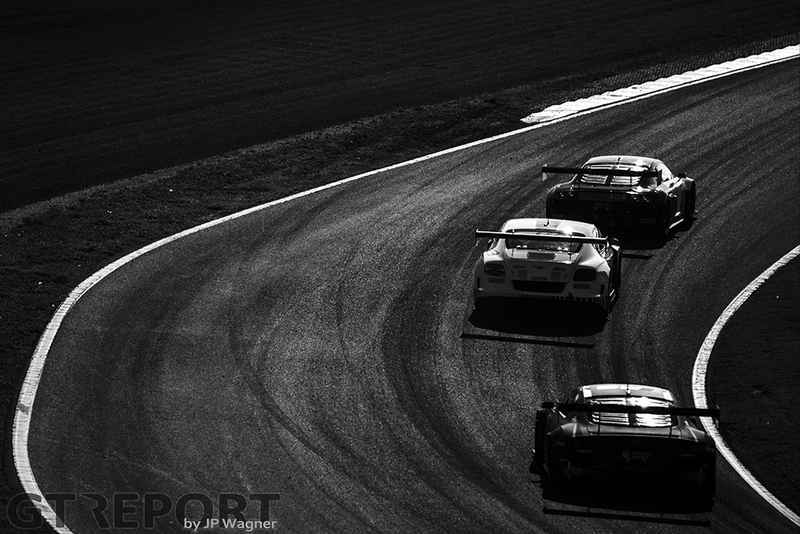 Hours before the end the team took the lead of the race, to never give it away anymore. 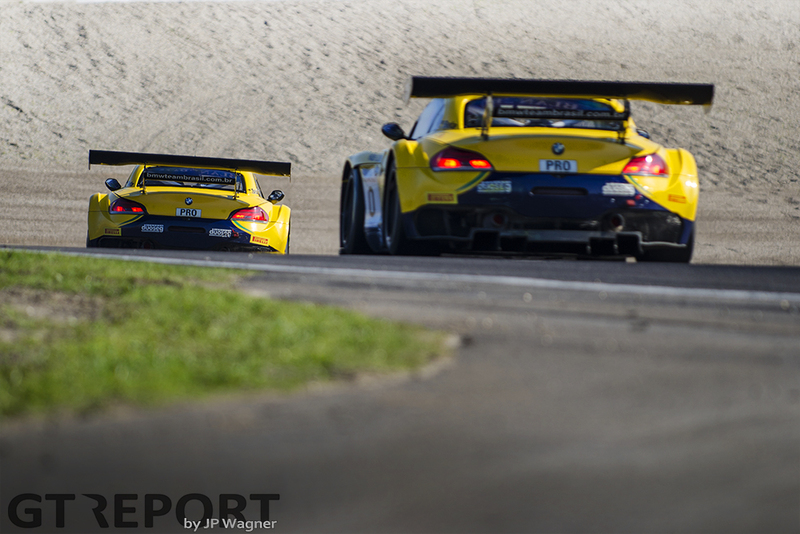 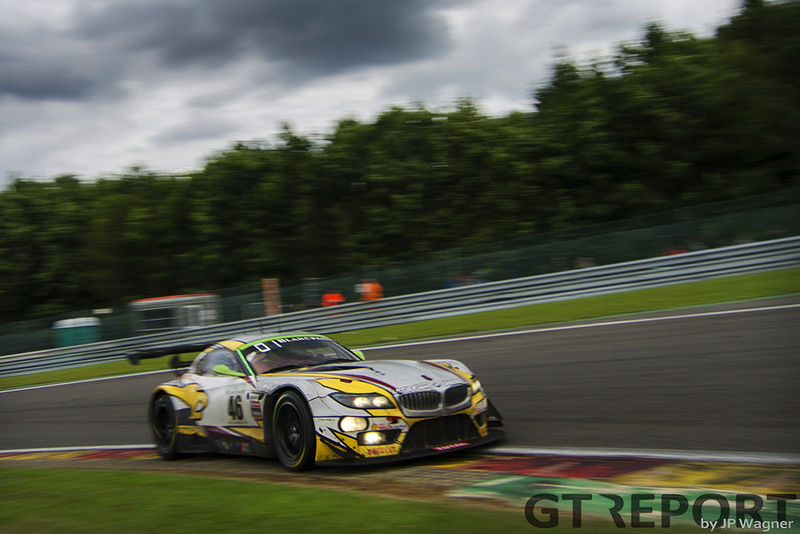 Marc VDS’s first win in a big race was finally there. 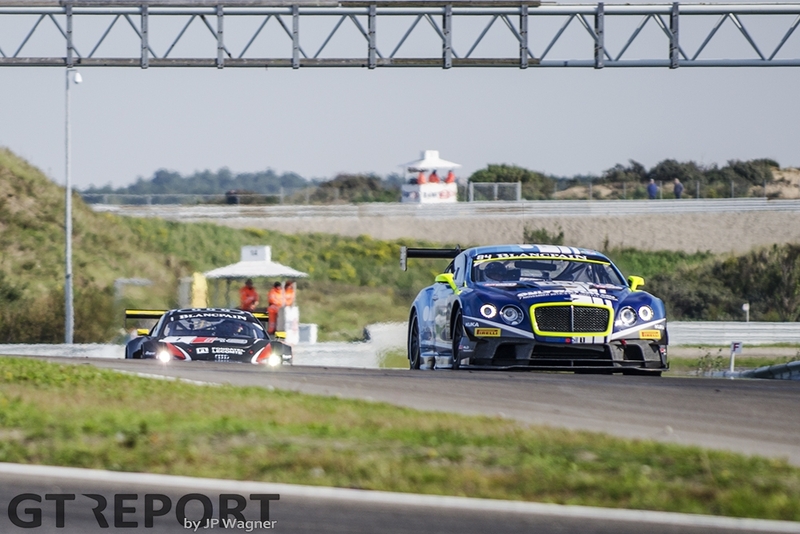 After a one month break the championship continued with a round in the Algarve. 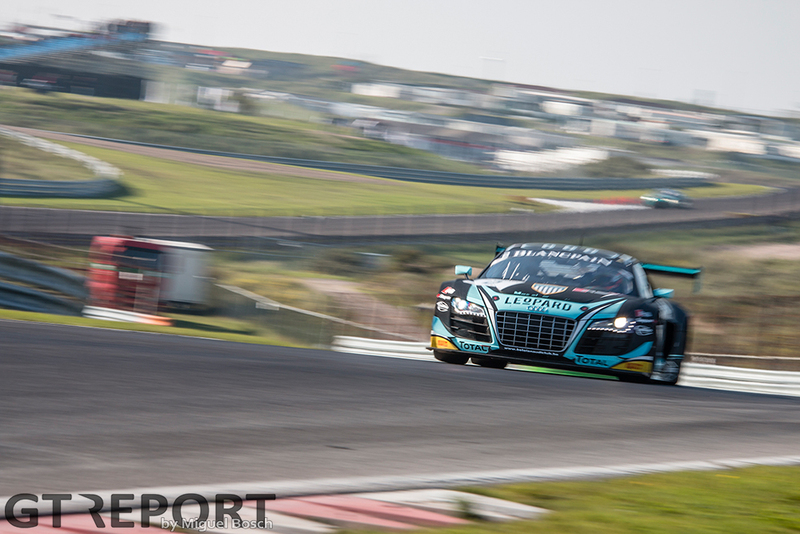 WRT’s Frijns and Vanthoor came back from the poor Moscow weekend to take a main race win in the Algarve Sprint Series race. 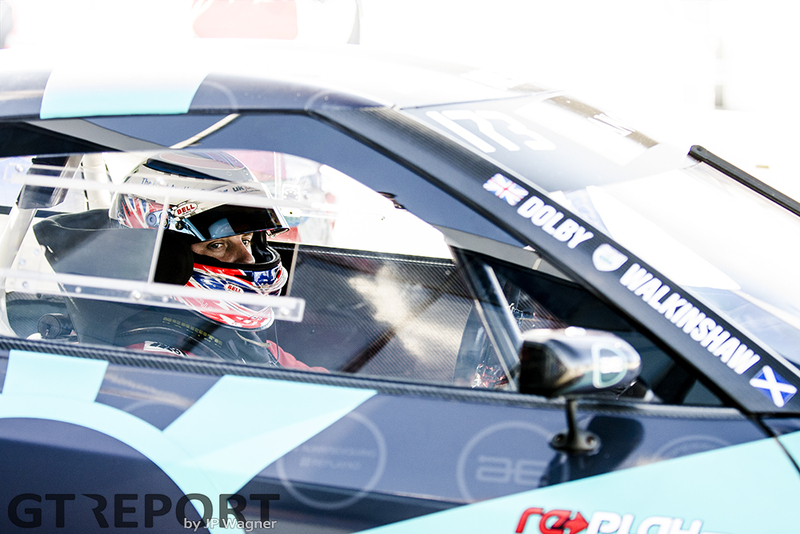 Buhk and Abril were still going strong, winning the qualifying race and finishing fourth in the main race. 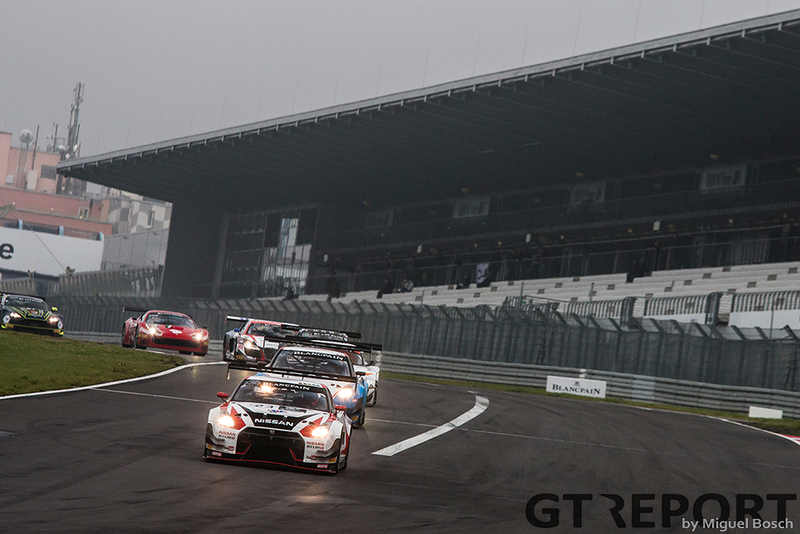 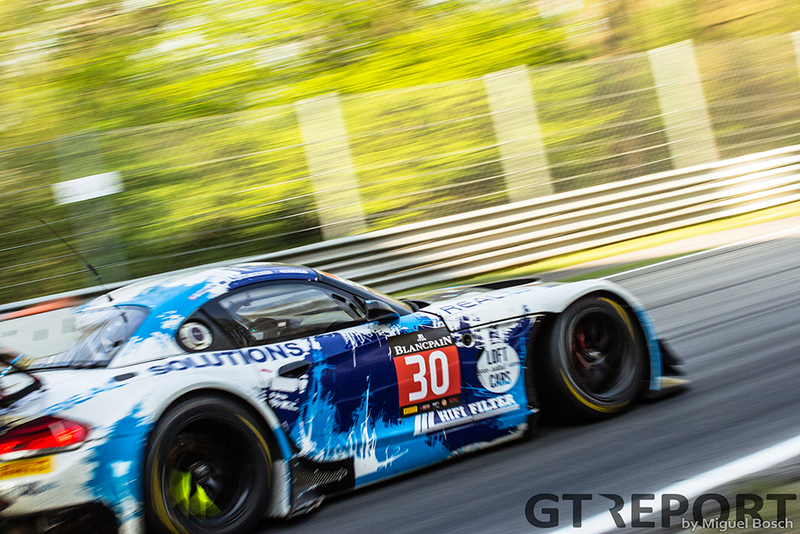 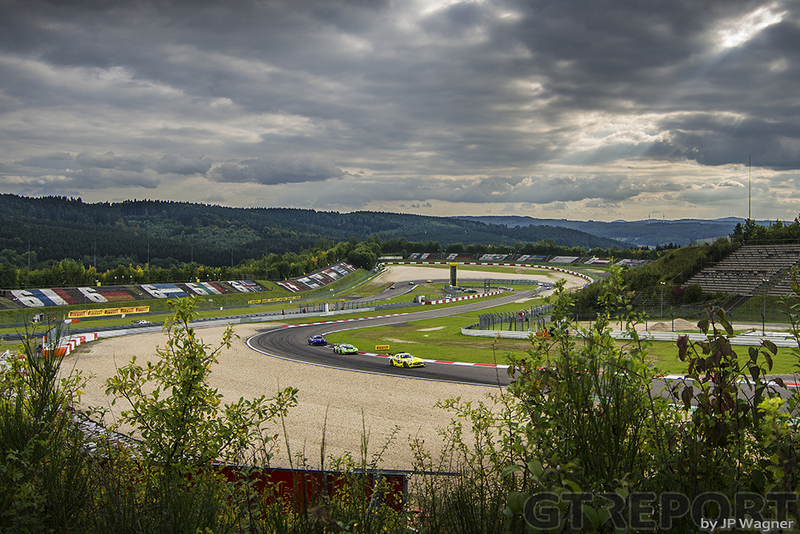 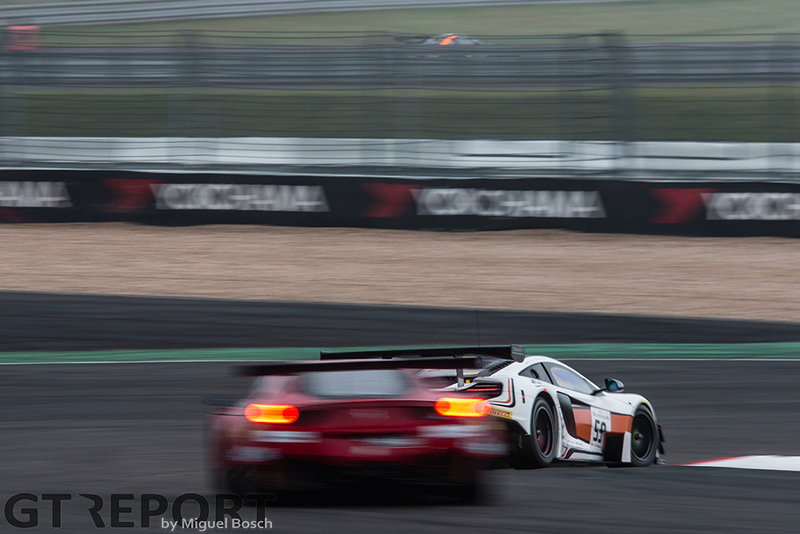 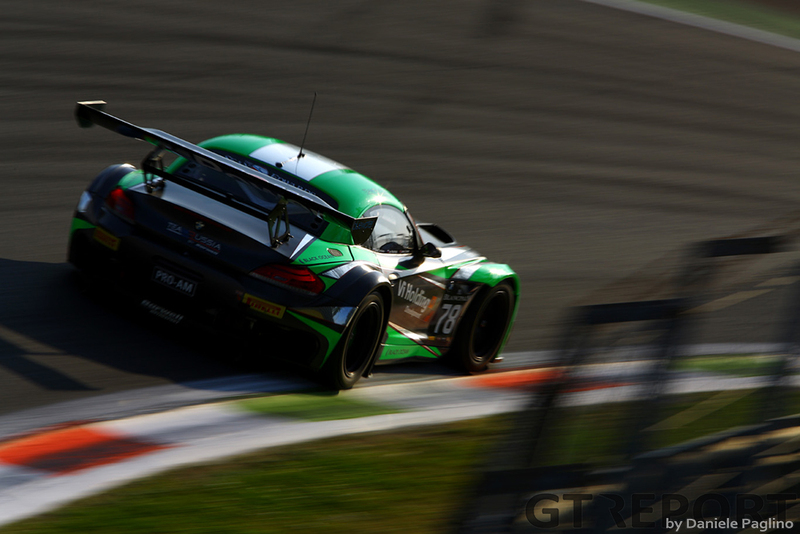 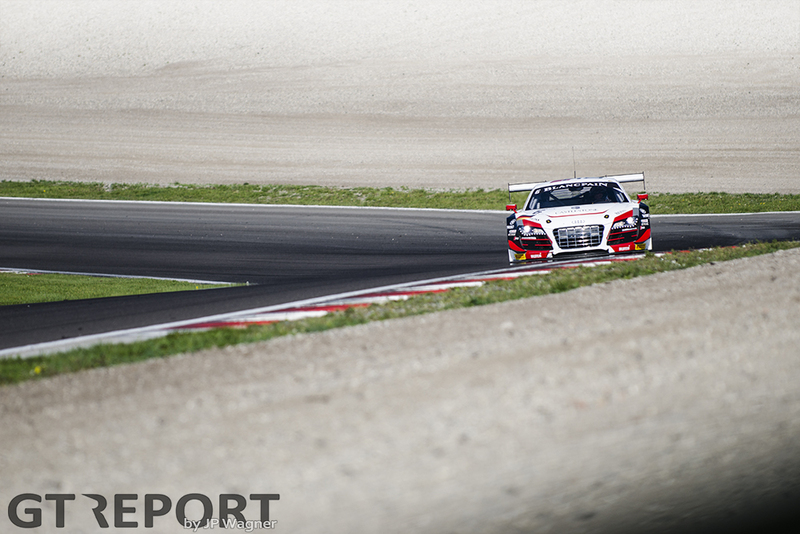 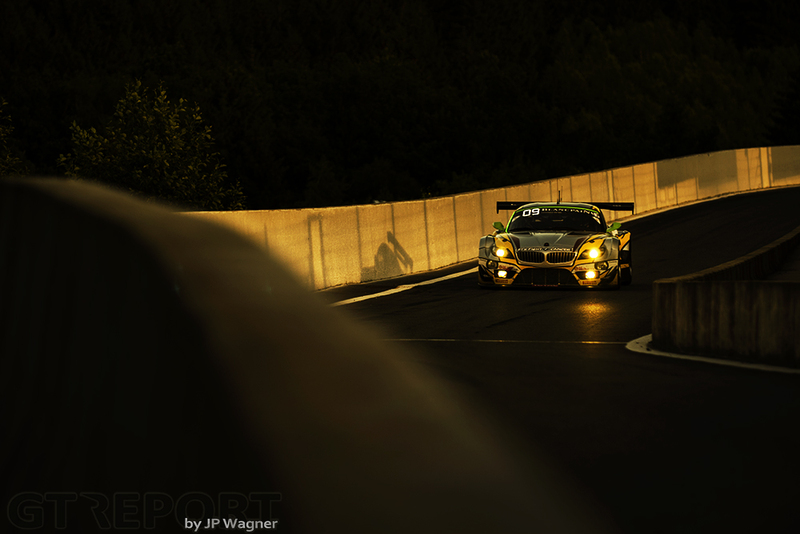 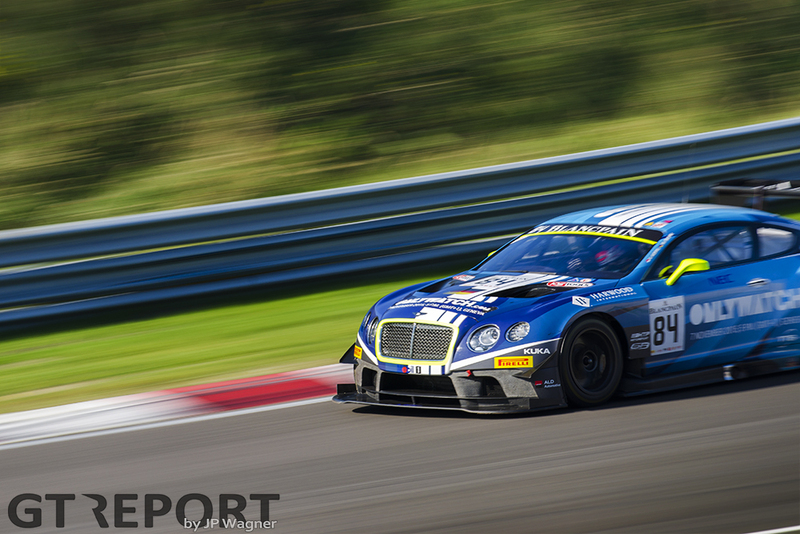 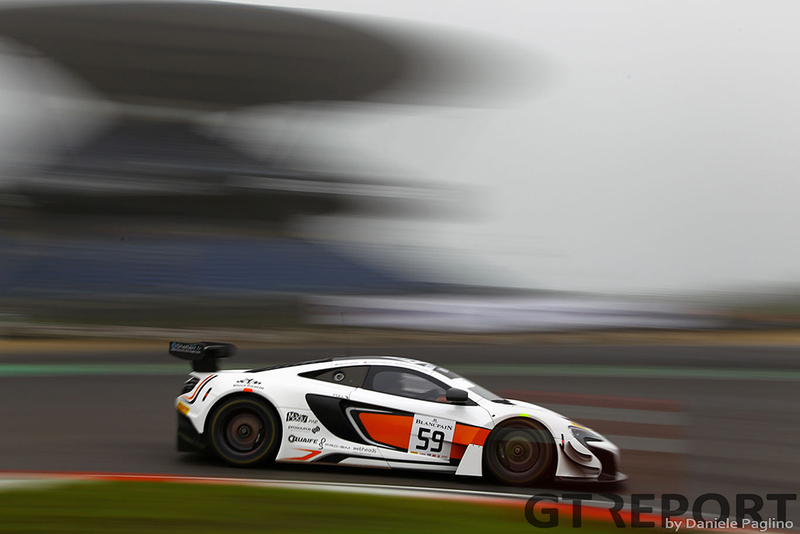 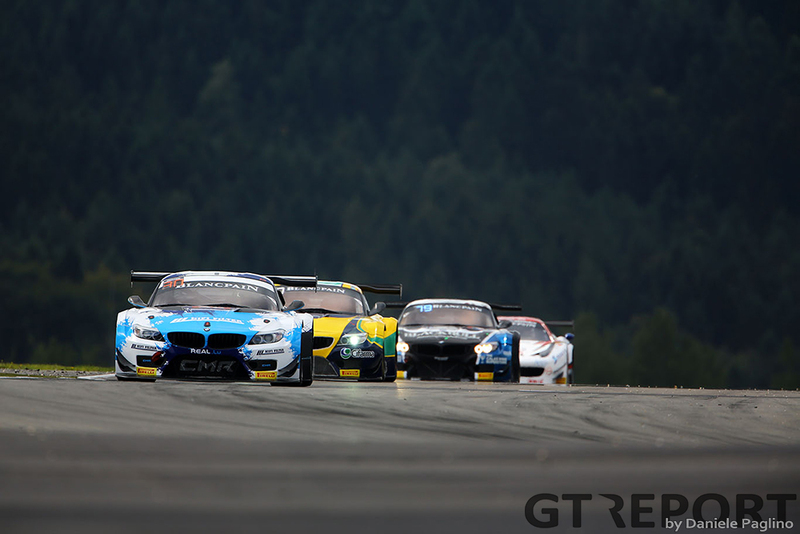 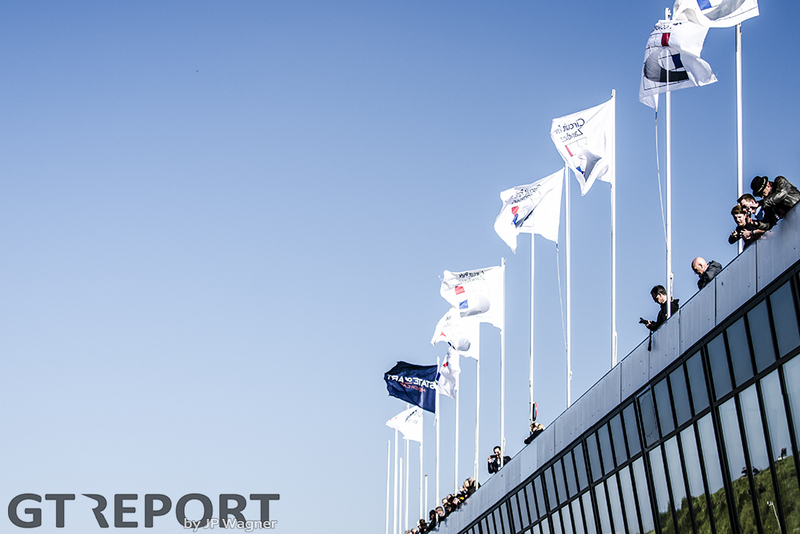 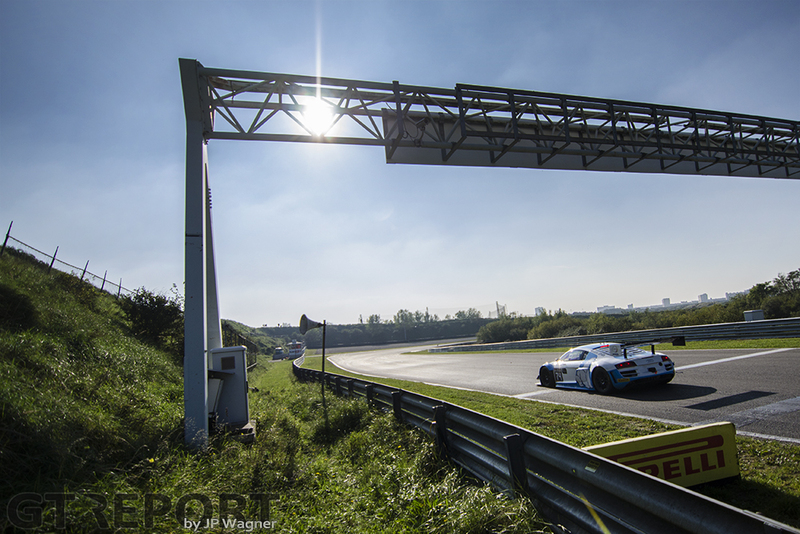 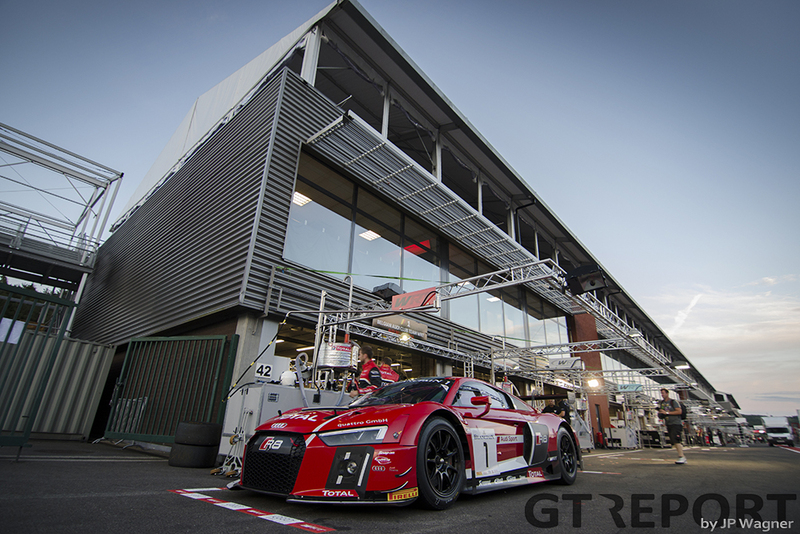 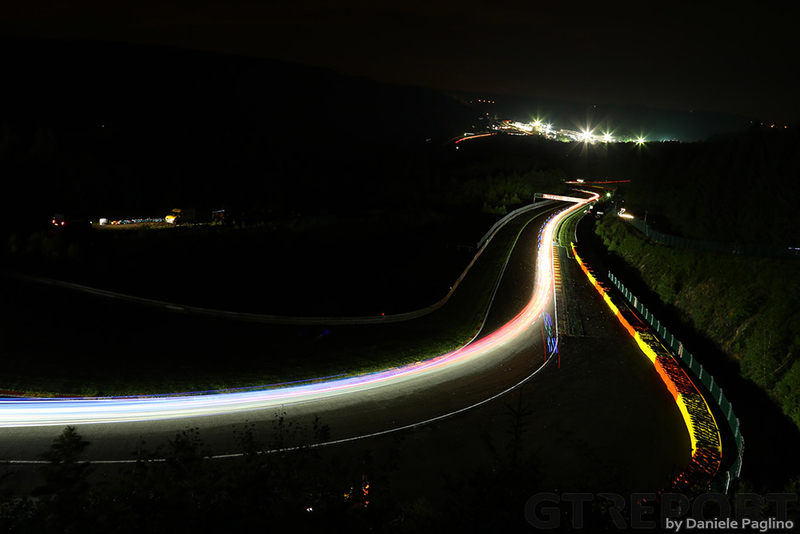 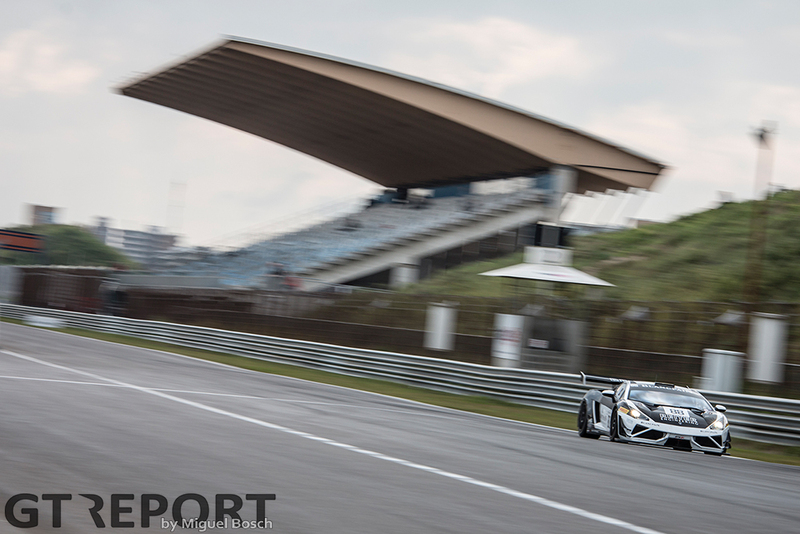 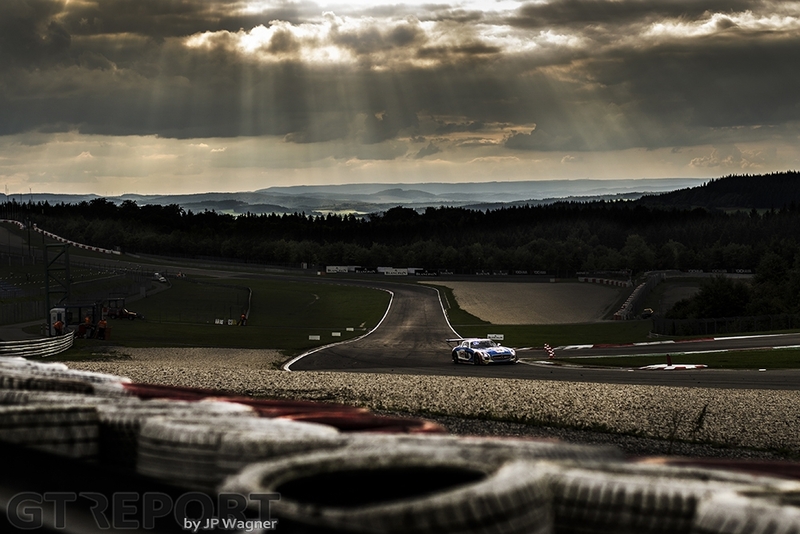 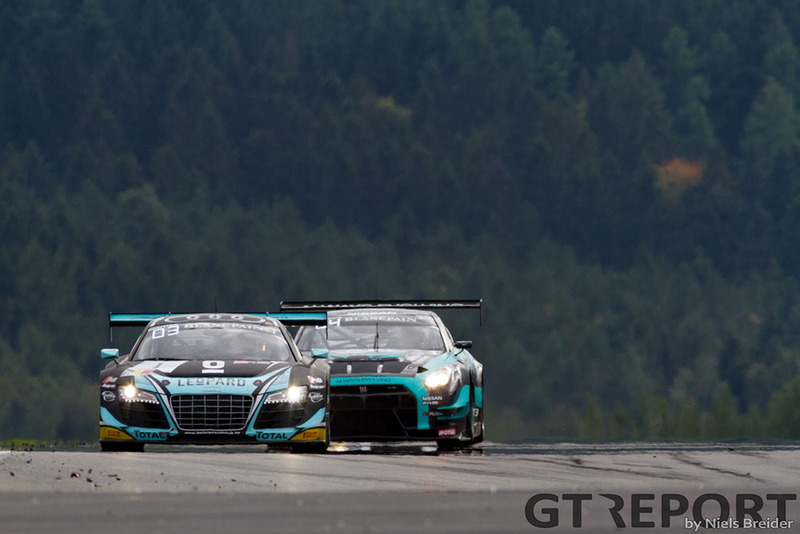 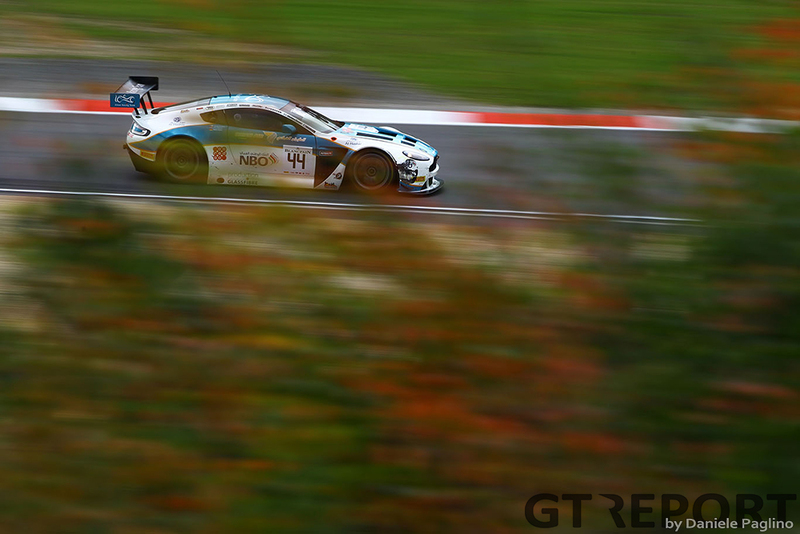 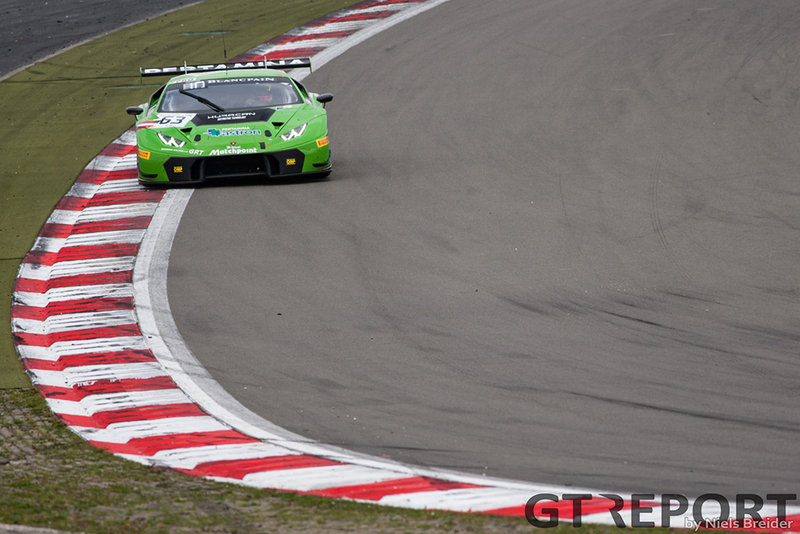 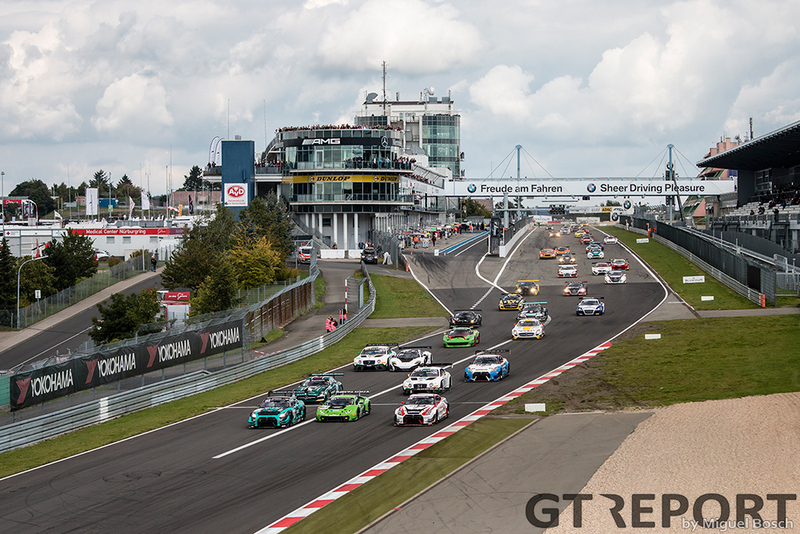 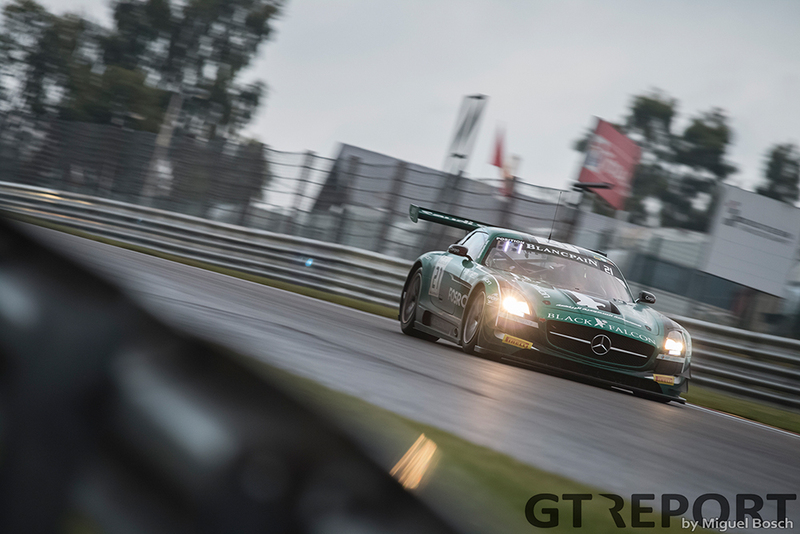 The Blancpain Endurance Series came to a close at the Nürburgring. 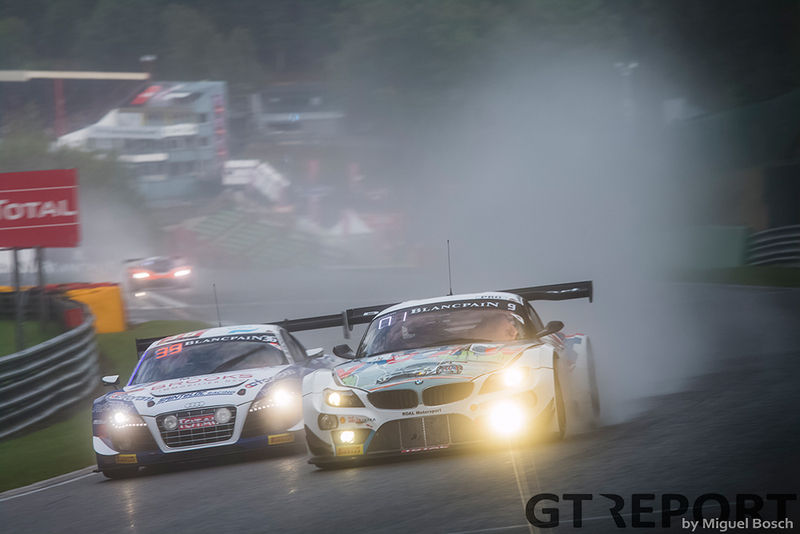 Unlike last year, the 2015 race was held in the dry. 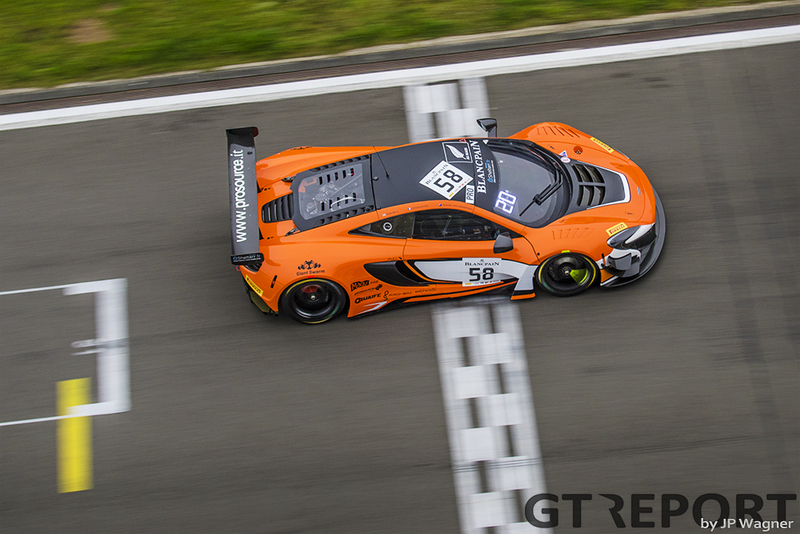 Another strategic masterpiece by Von Ryan Racing brought McLaren the race win. 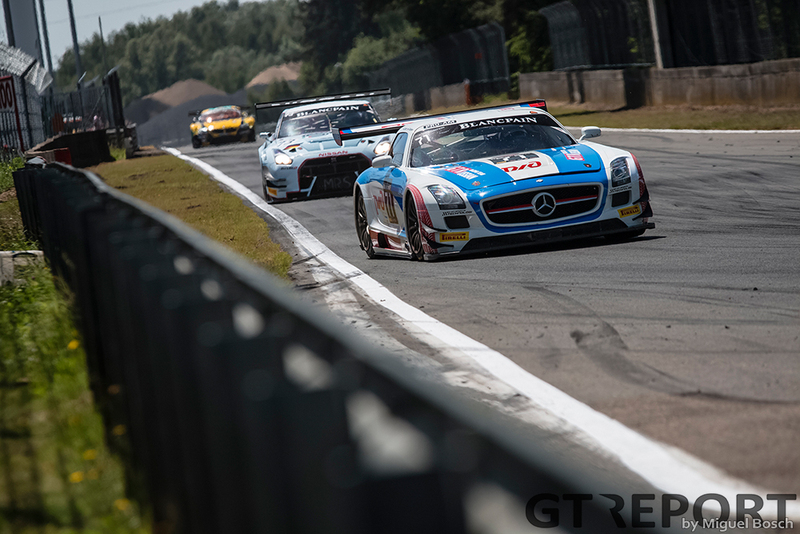 Making the most out of early race neutralizations, the 650S of Shane Van Gisbergen, Rob Bell and Kévin Estre slowly but surely moved up through the field to find themselves leading the race and holding on to it until the finish flag. 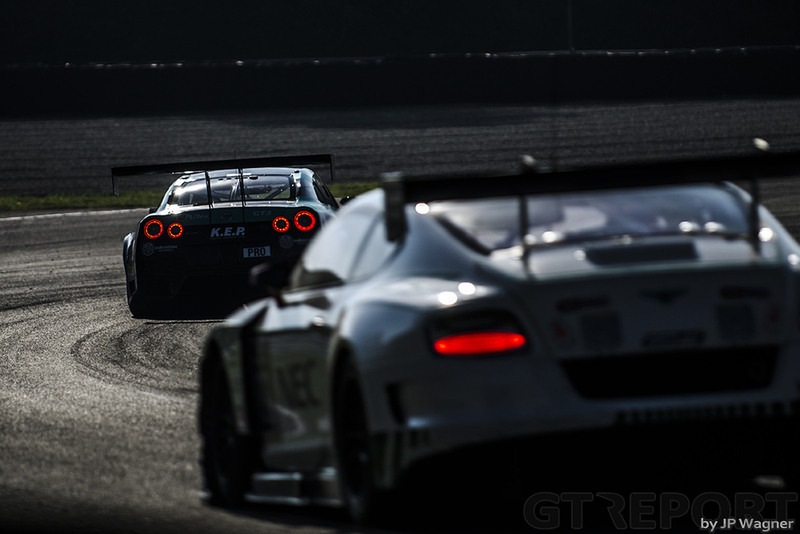 In the title fight tension rose with every lap. 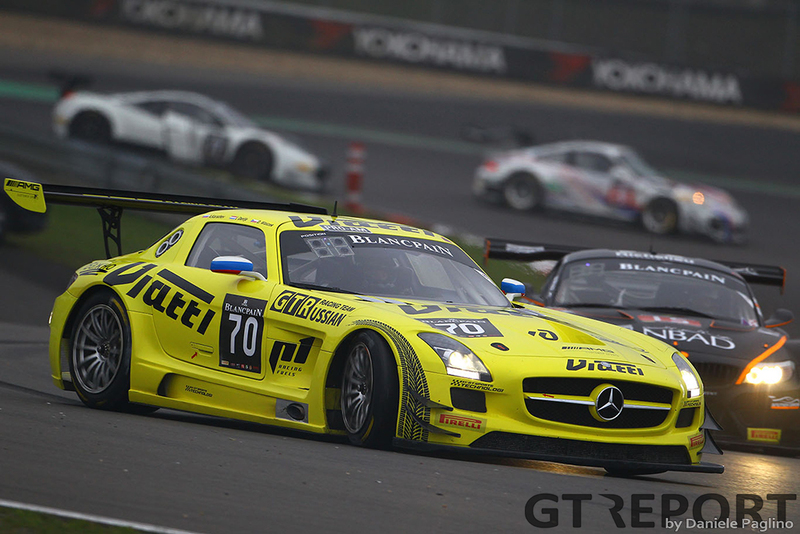 Phoenix Racing went into the weekend leading the championship with drivers Stéphane Ortelli and Frank Stippler, but they were never a real factor in the race, just like the Rowe Racing Mercedes-Benz SLS AMG GT3 of drivers Nico Bastian, Stef Dusseldorp and Daniel Juncadella, who had to hope for a miracle after suffering an early-race penalty. 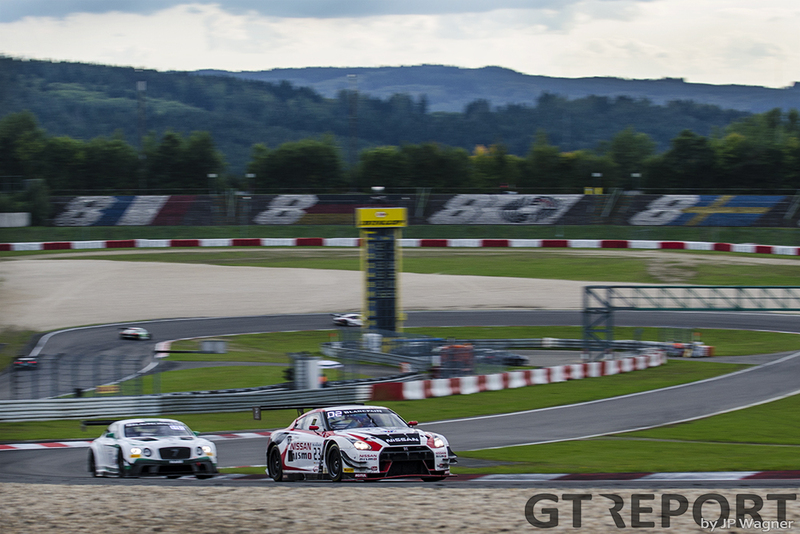 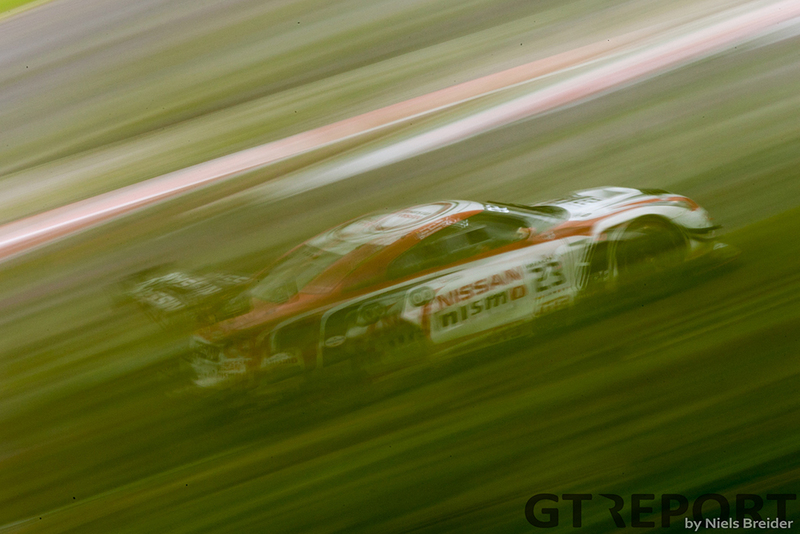 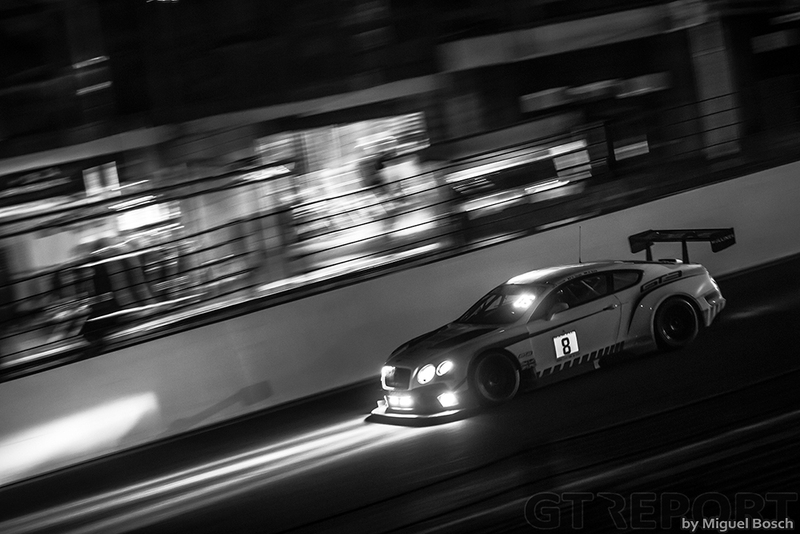 As the end of the race closed in, Bentley and Nissan were vying for the title. 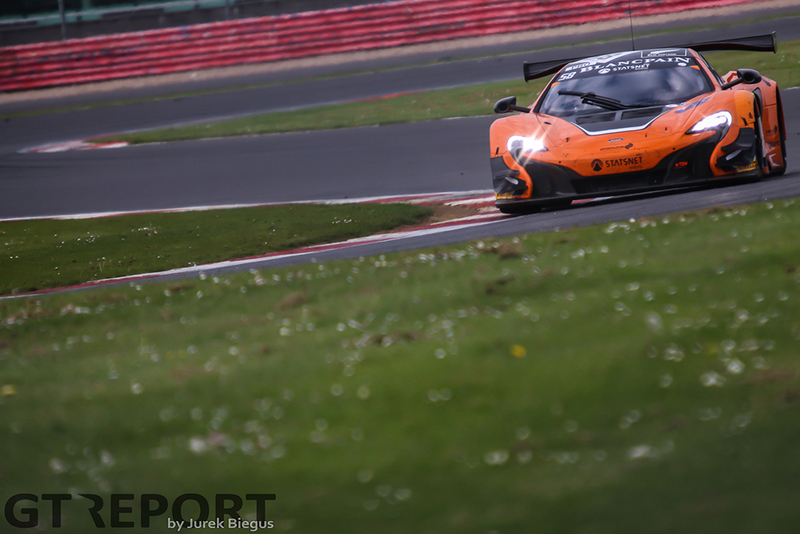 All the Brits needed to do was to take the lead, but the McLaren was too far away and too quick. 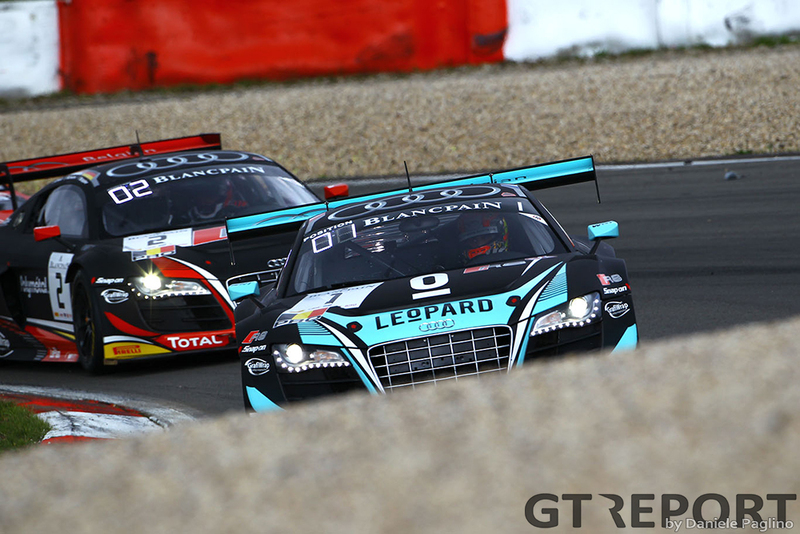 Separated by just three points they took the chequered flag. 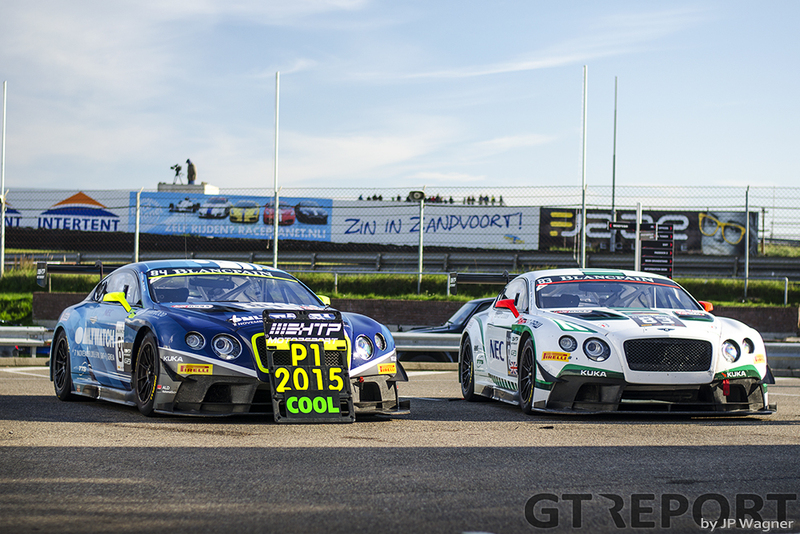 Bentley in second, Nissan in third. 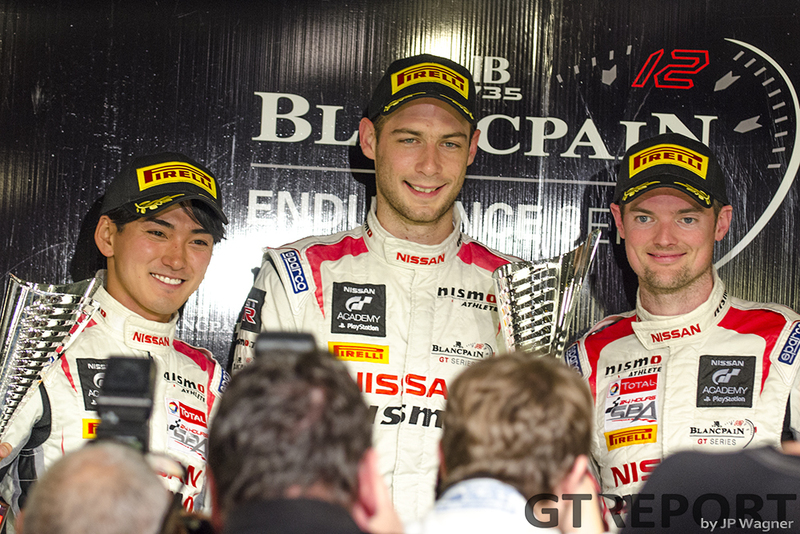 The last step on the podium was enough for the first international championship title for a Nissan GT Academy graduate: former sim racer Wolfgang Reip was crowned Blancpain Endurance champion, alongside teammates Alex Buncombe and Katsumasa Chiyo. 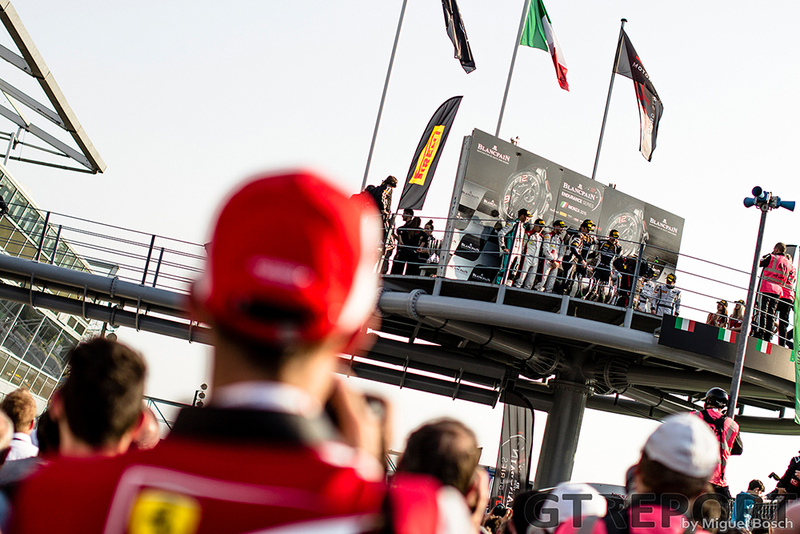 For the penultimate round of the season, the Sprint Series went back to Italy. 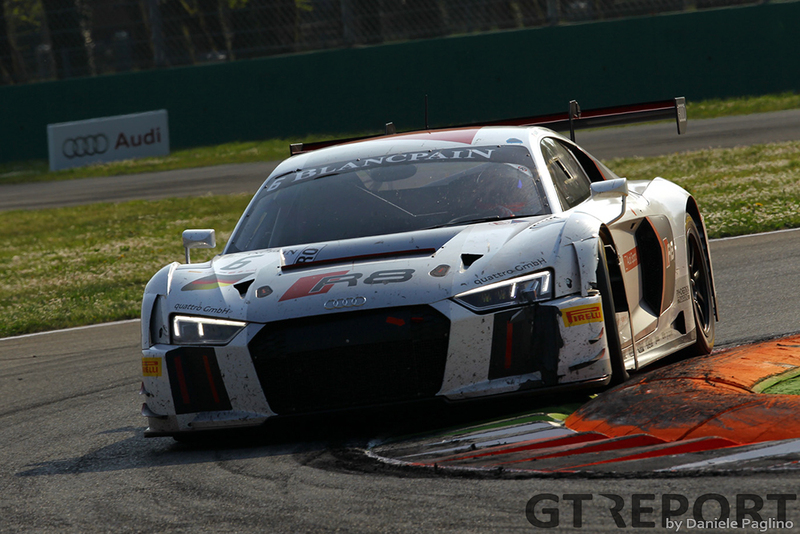 In Misano disaster struck for the championship leading WRT Audi: contact with the Bentley of Jules Szymkowiak sent both cars violently crashing into the guardrail, destroying the R8 and breaking Vanthoor’s hip. 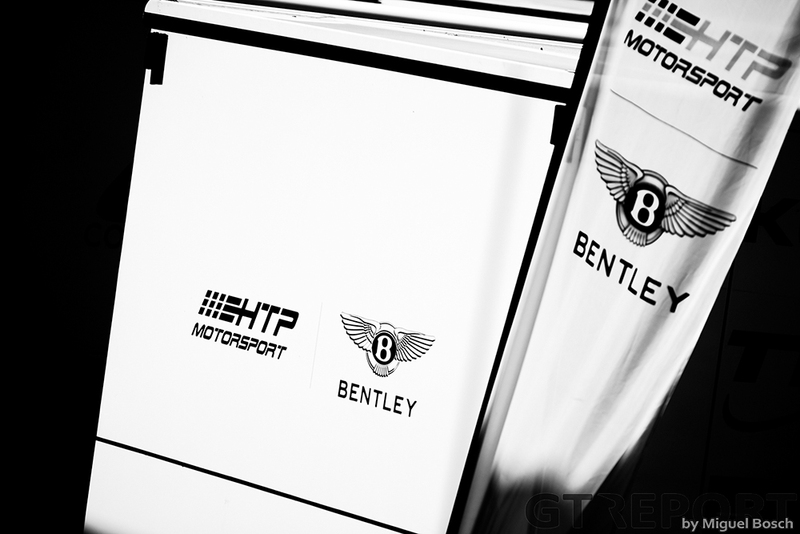 Two zero scores for the leaders were the result, while HTP Bentley made up some more ground by finishing second in the championship race and bringing the title fight to the championship finale. 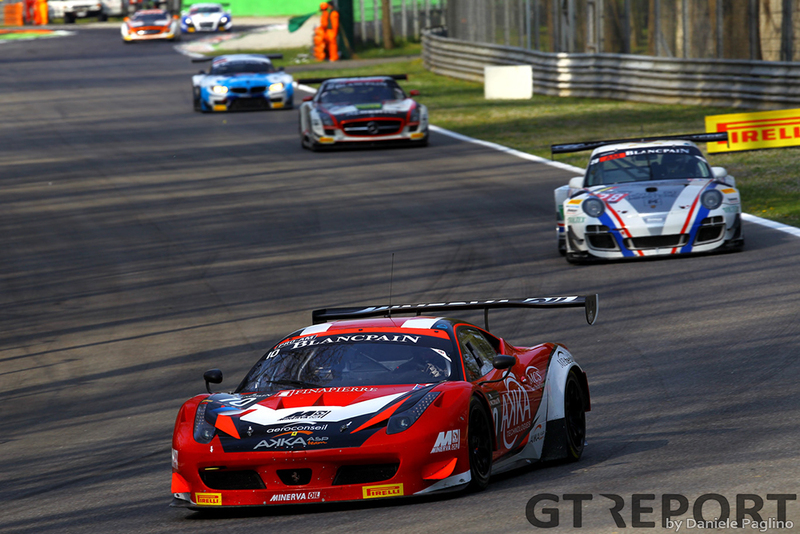 The biggest winner of the weekend was the Ferrari crew of Rinaldi Racing. 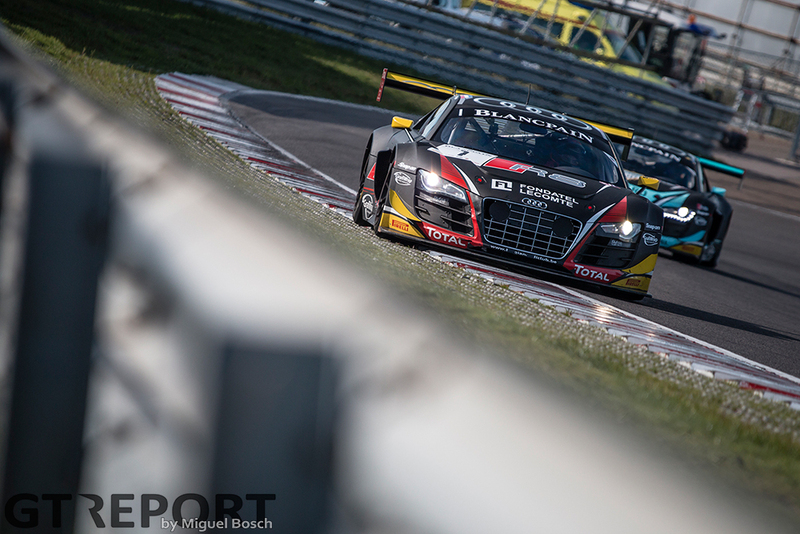 Norbert Siedler and Marco Seefried had been knocking on the door all season long, finishing on the podium on multiple occasions, but never winning—until this weekend, when they became the second team to have a perfect score with two wins and pole position. 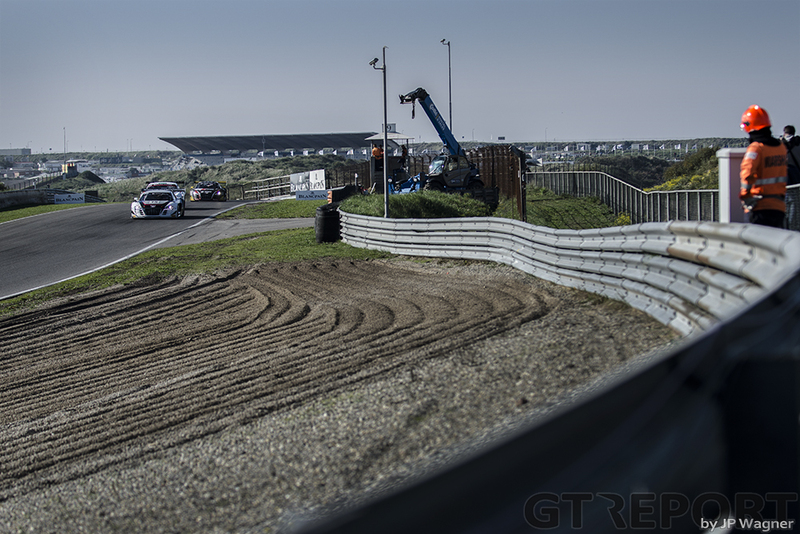 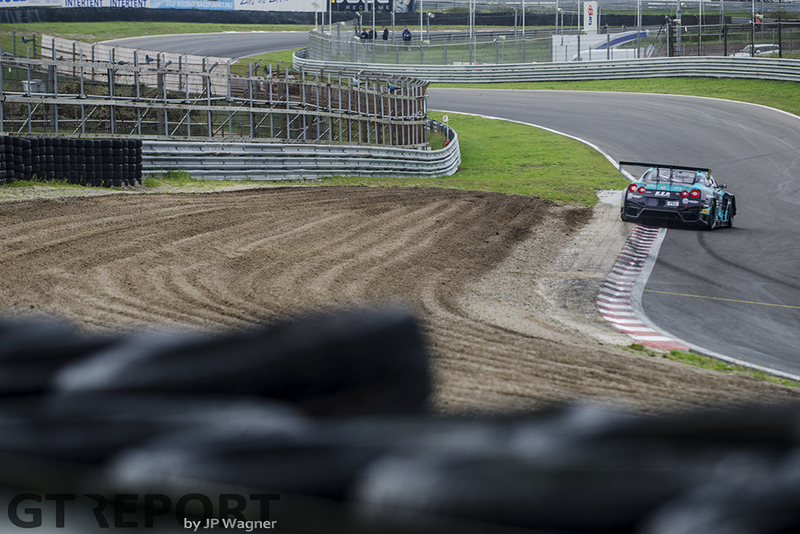 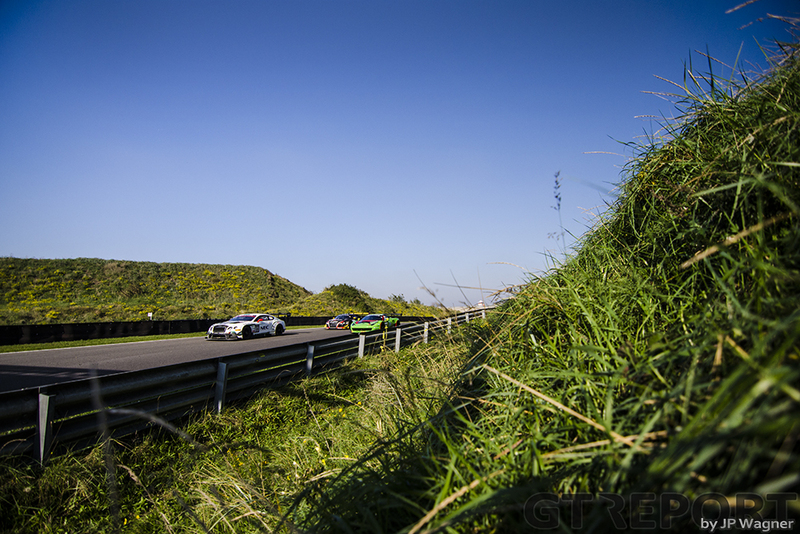 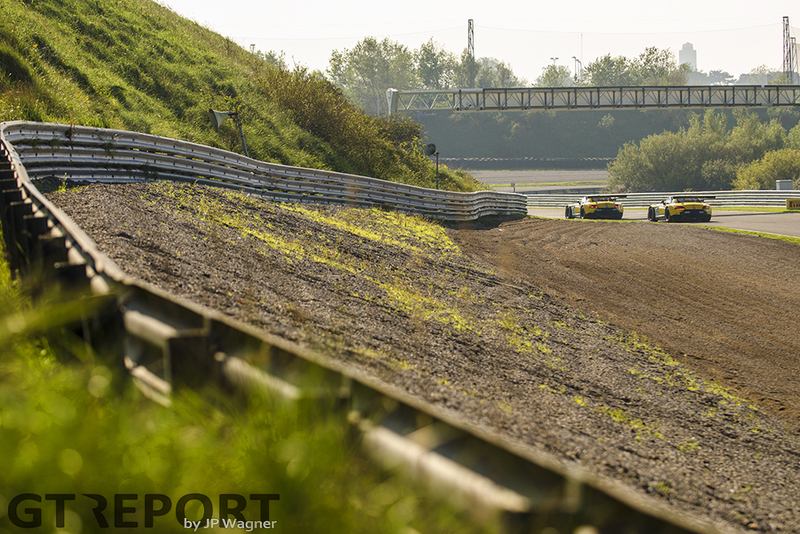 It all came down to the finale in the Zandvoort dunes. 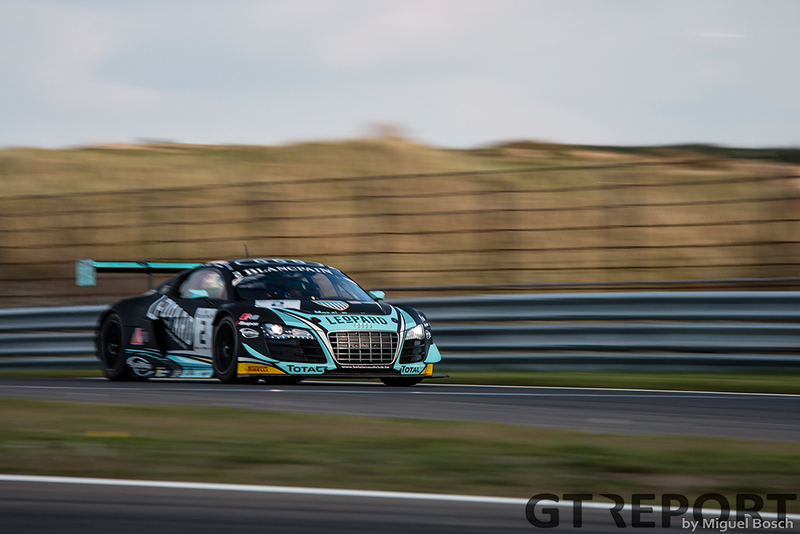 Robin Frijns was still leading the championship but had lost a huge chunk of his lead. 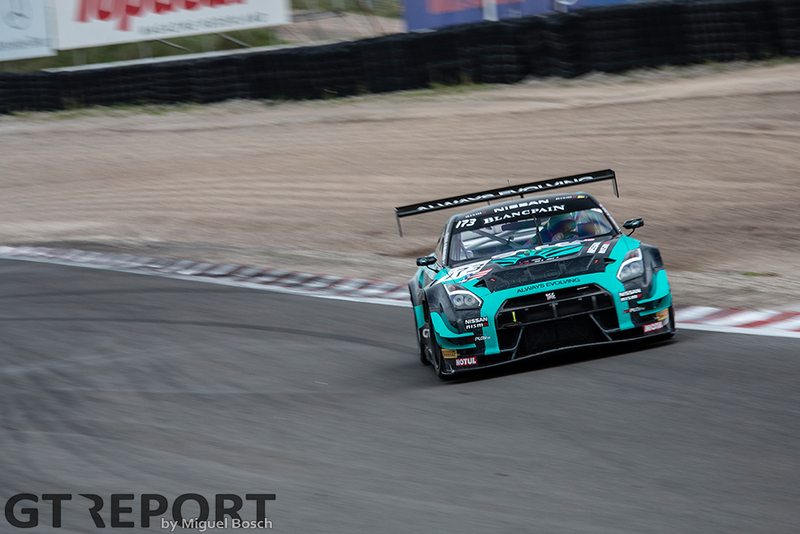 With Vanthoor sidelined, Christopher Mies jumped into the number 1 car. 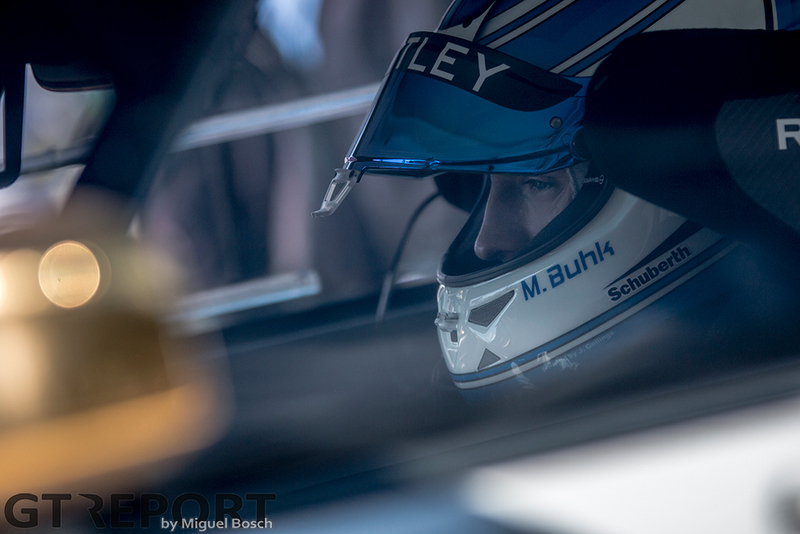 While the combination of Frijns and Mies was impressively strong, so were Buhk and Abril. 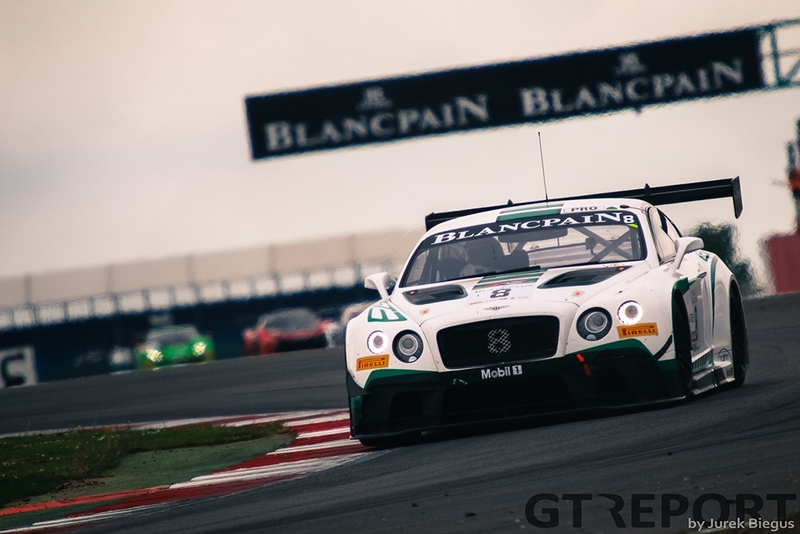 The HTP team took pole position and went on to win the first race after Frijns was punted off in the first corner by the Rinaldi Ferrari, giving the championship lead to the Bentley Boys. 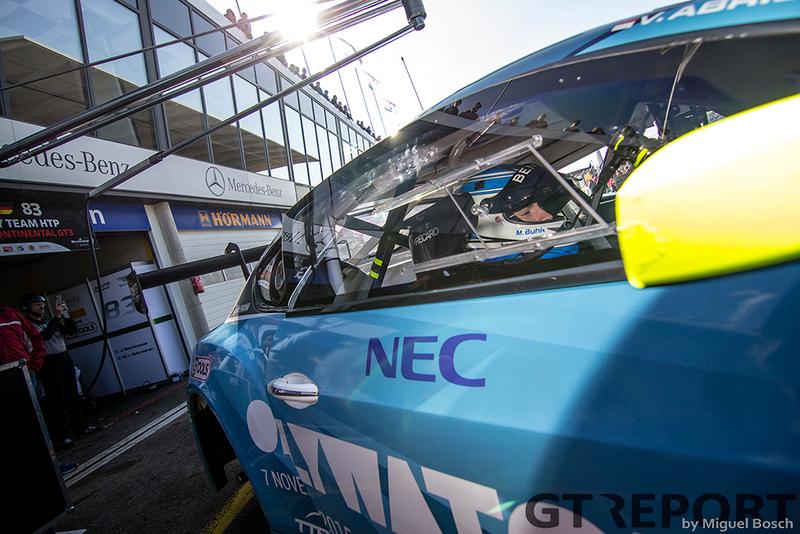 Frijns was now looking at a one point deficit going into Sunday’s final race, which Mies had to start from last position. 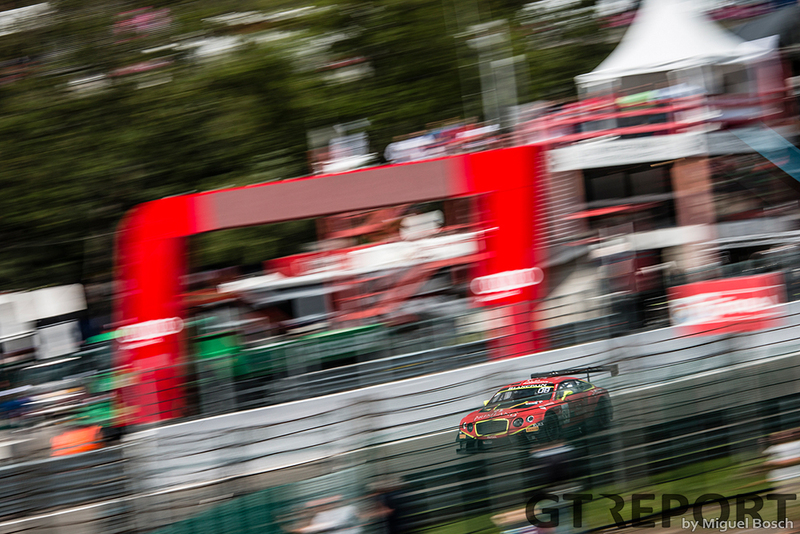 Audi’s works driver didn’t let down, quickly working his way through the field to reach second place within the first ten minutes of the one hour race. 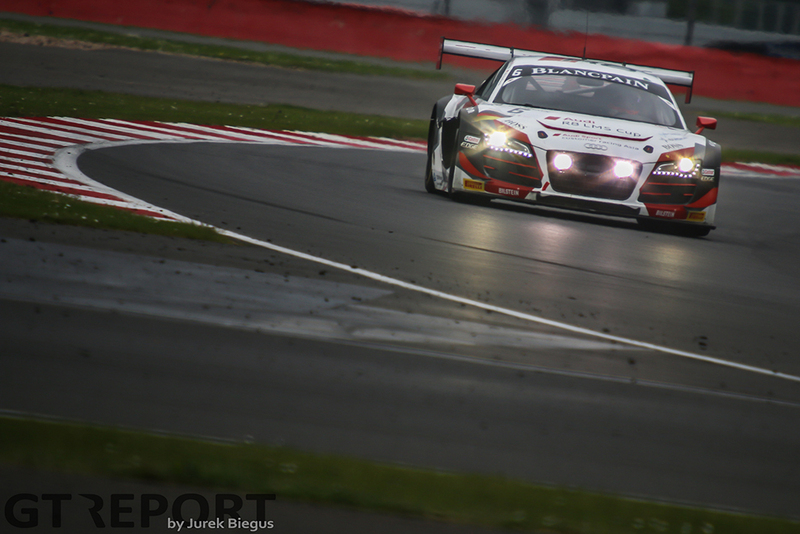 After Mies handed the R8 over to Frijns, Buhk, now in the race leading HTP Bentley, was put under pressure by his rival. 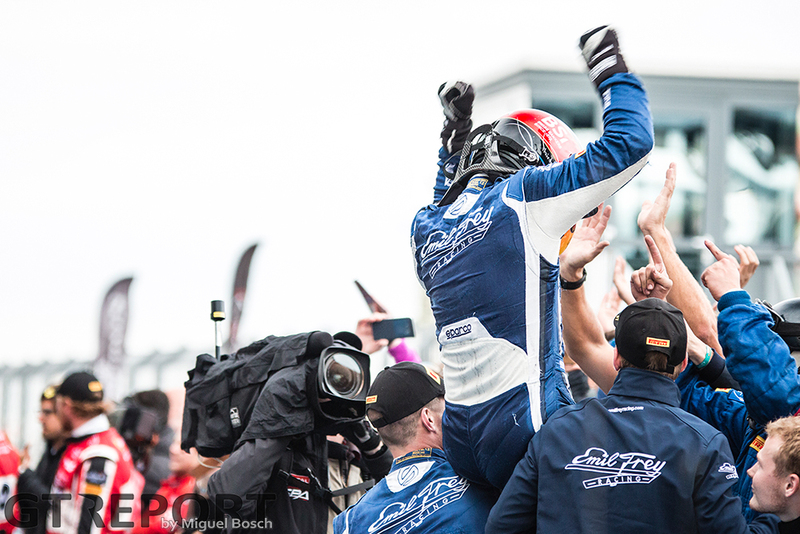 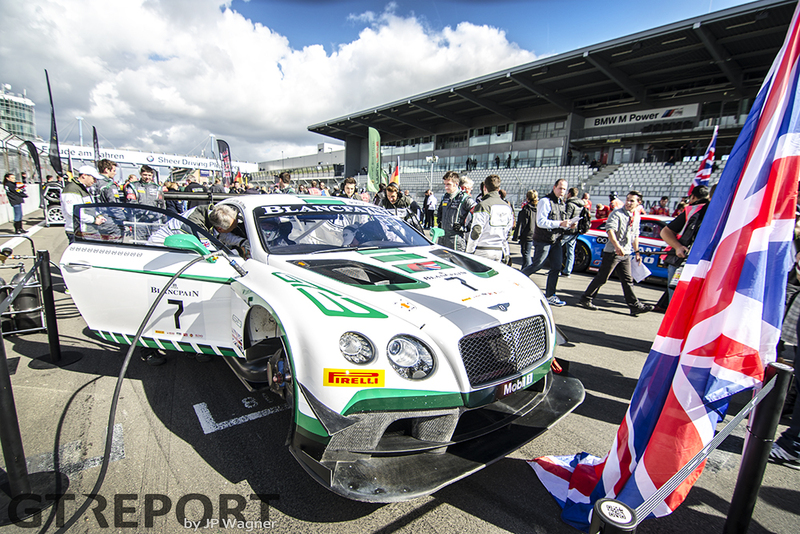 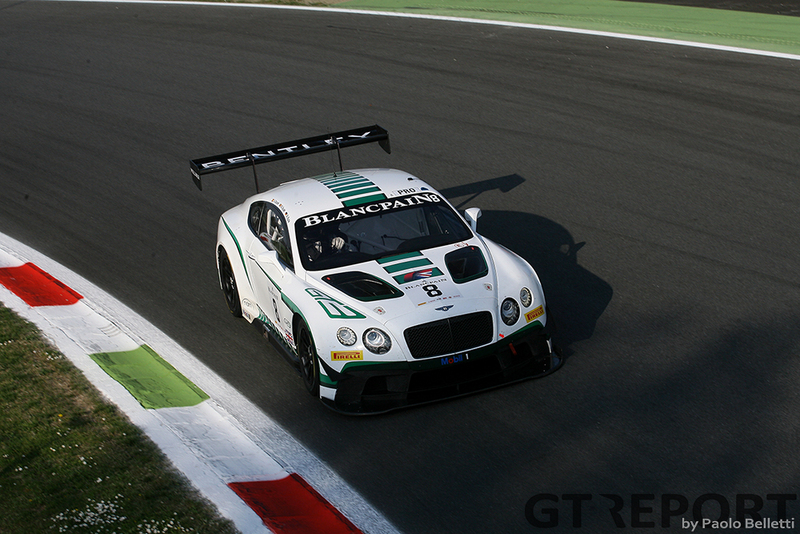 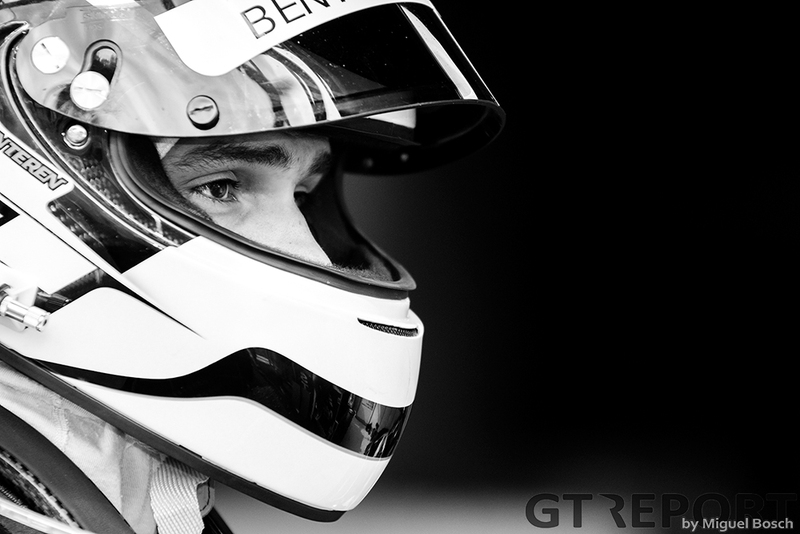 The Bentley works driver didn’t give in, crossing the finish line first to take the Blancpain Sprint Series title. 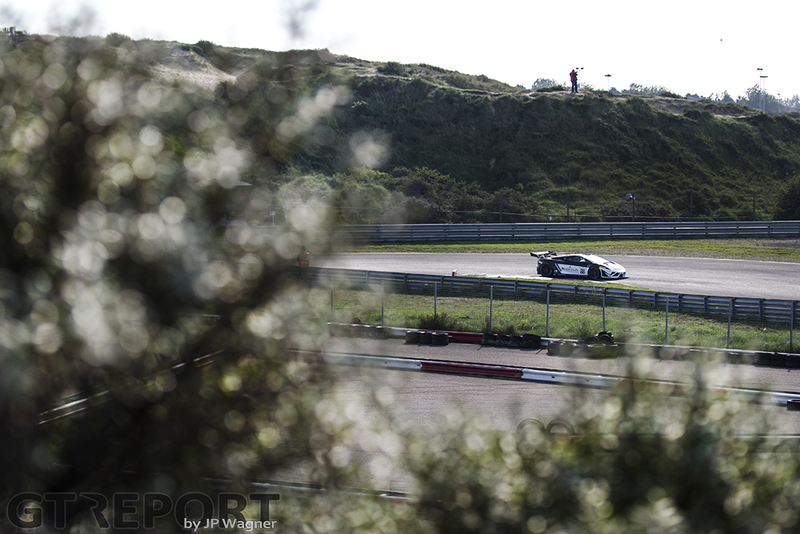 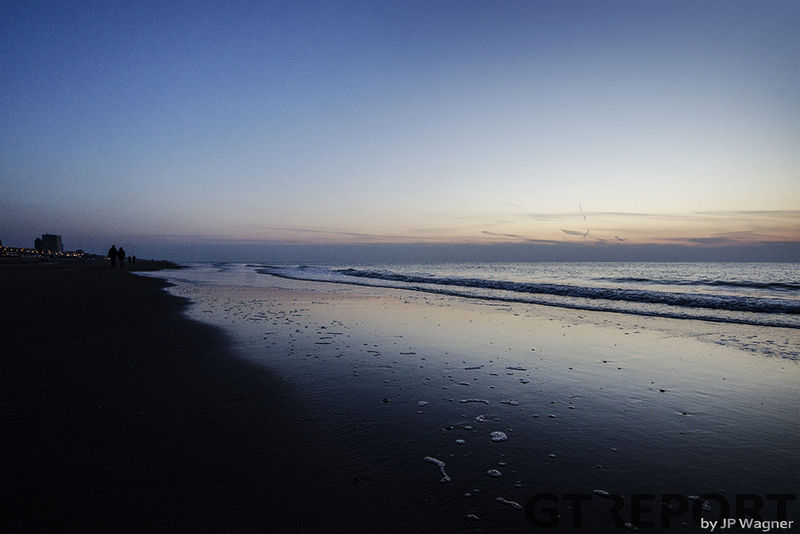 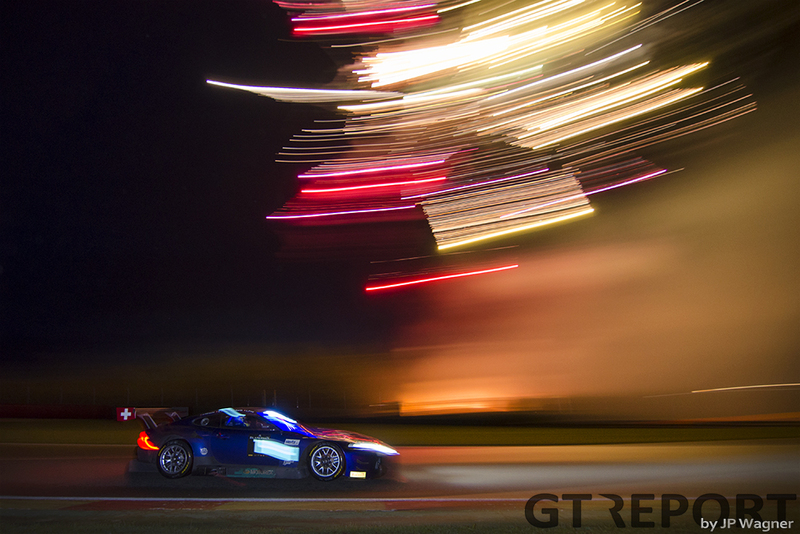 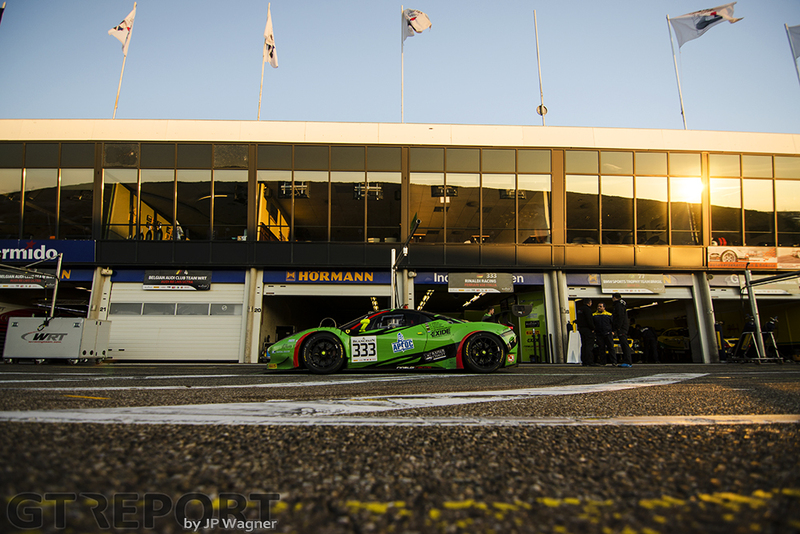 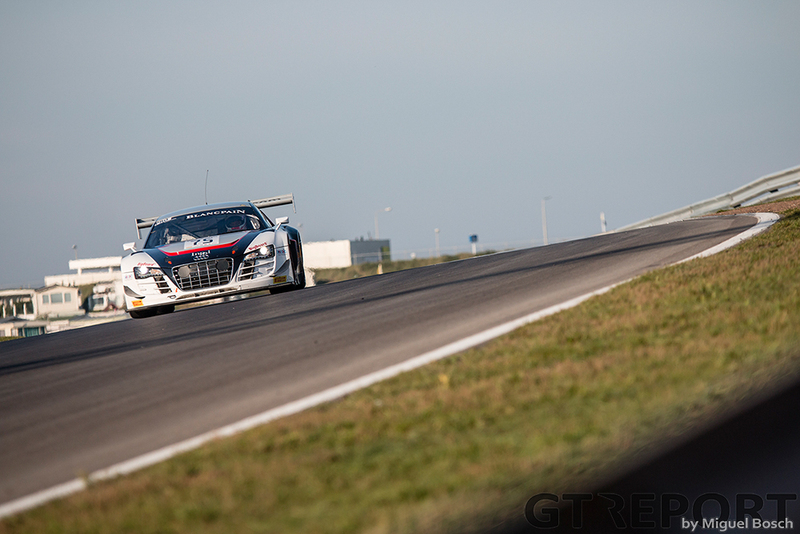 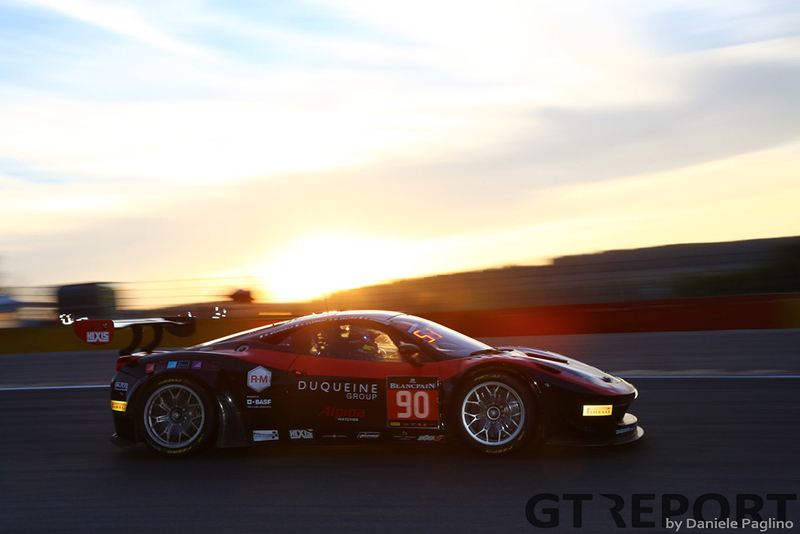 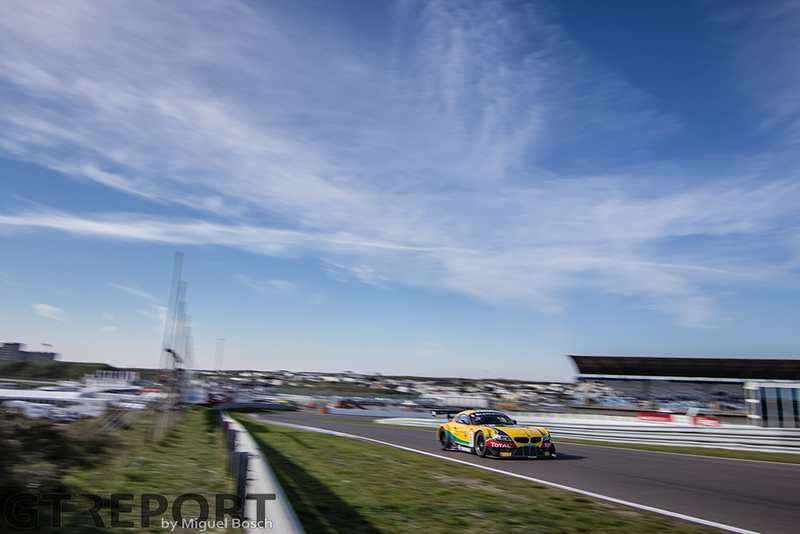 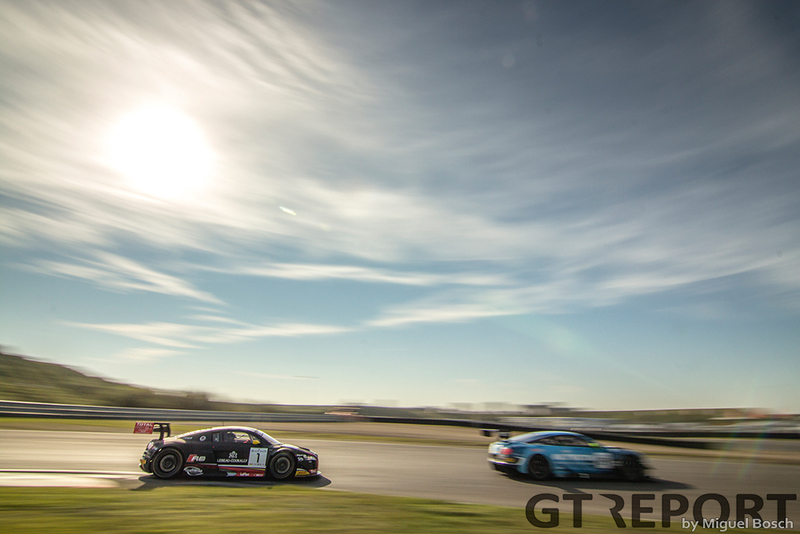 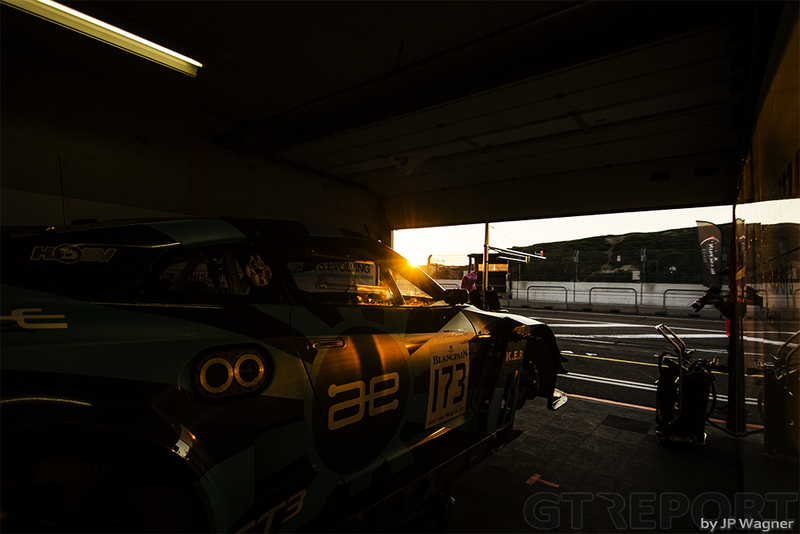 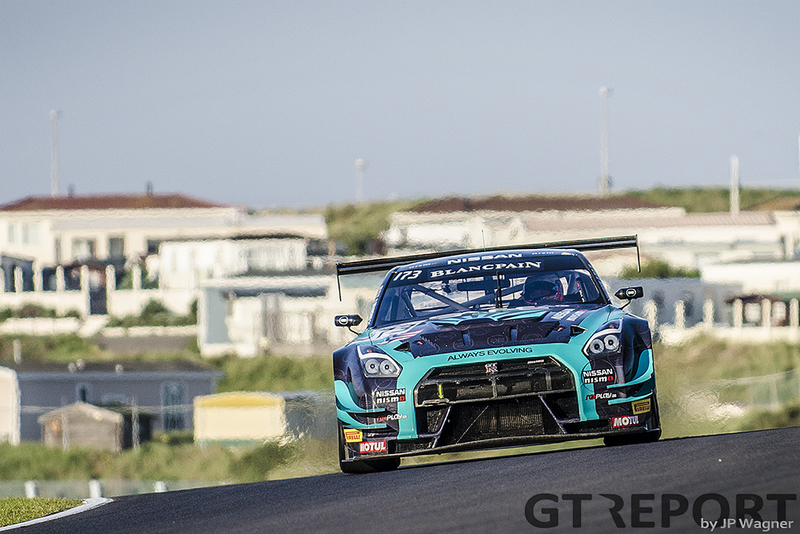 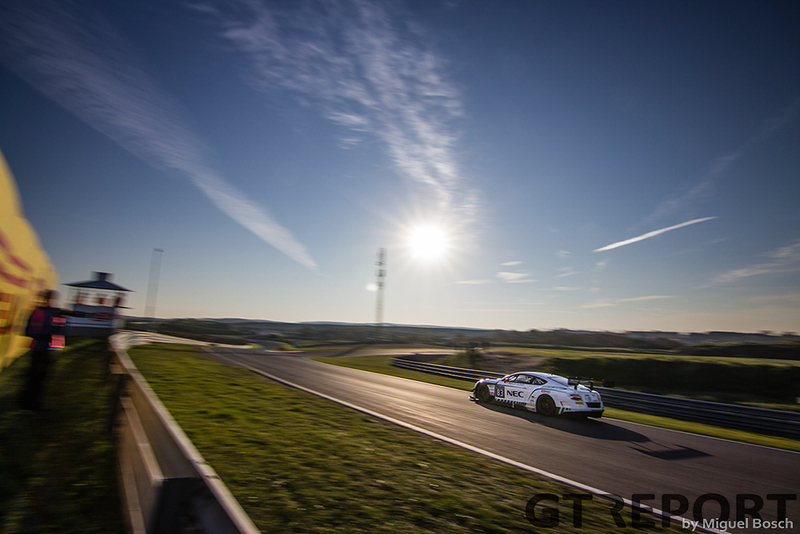 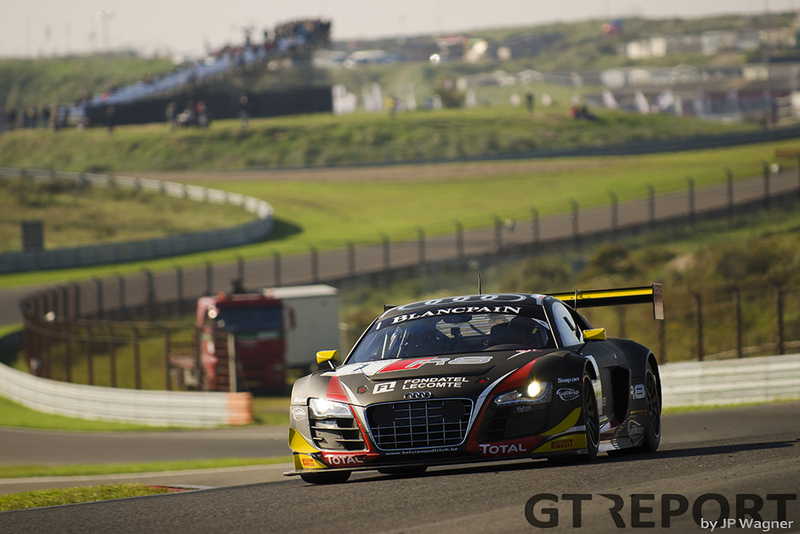 As the sun settled over Zandvoort, a disappointed Frijns still went home with the overall Blancpain GT title. 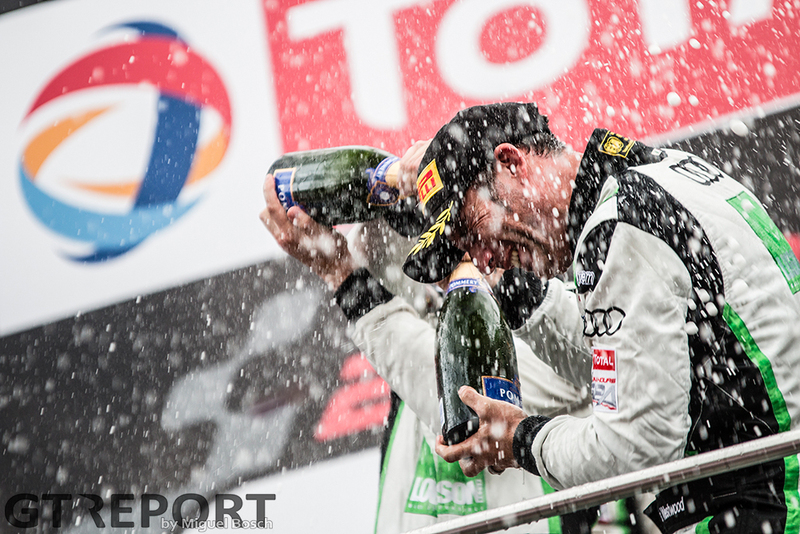 A mere consolation prize for the former junior open wheel star, coming so close to yet another championship title. 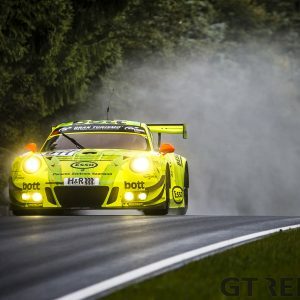 Photos by Paolo Belletti, Daniele Paglino, JP Wagner, Miguel Bosch, Jurek Biegus and Niels Breider.